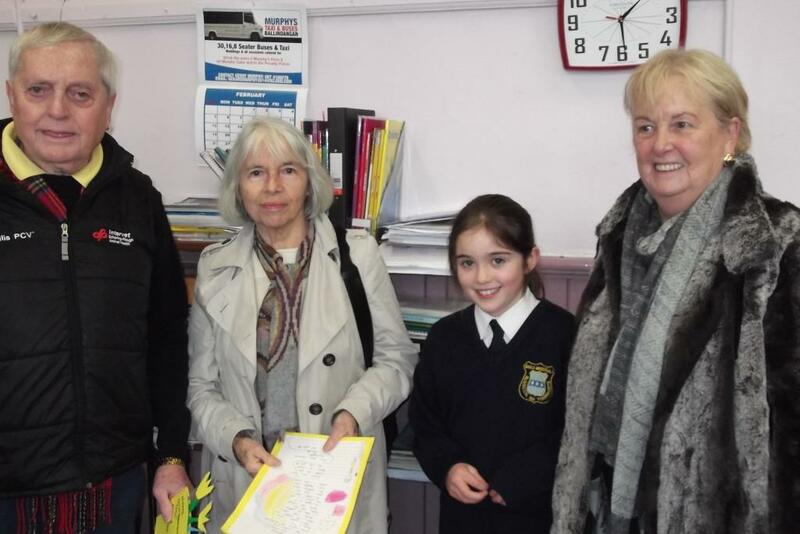 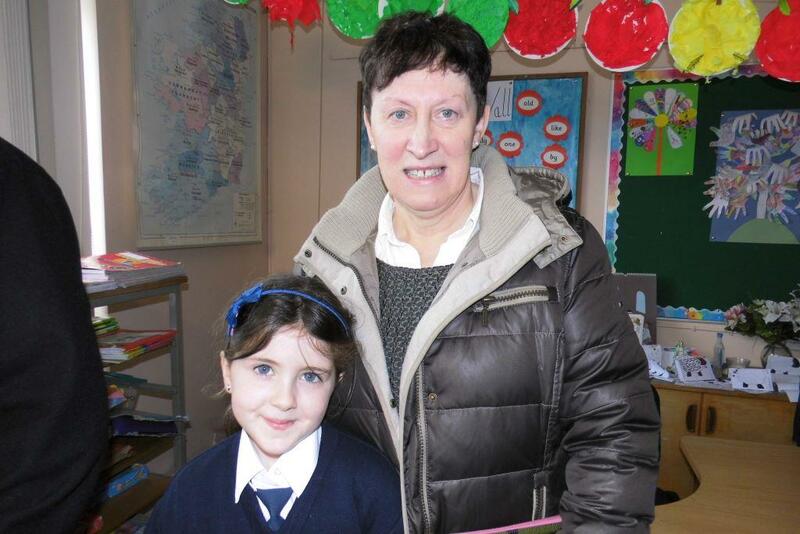 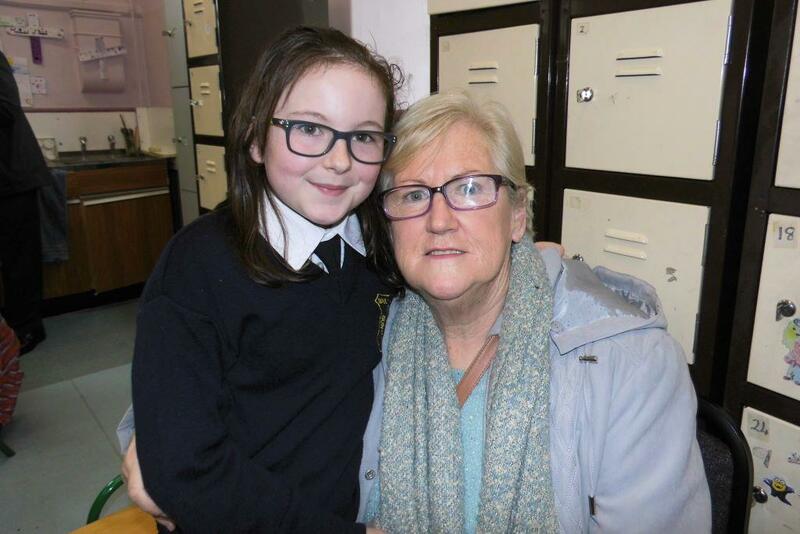 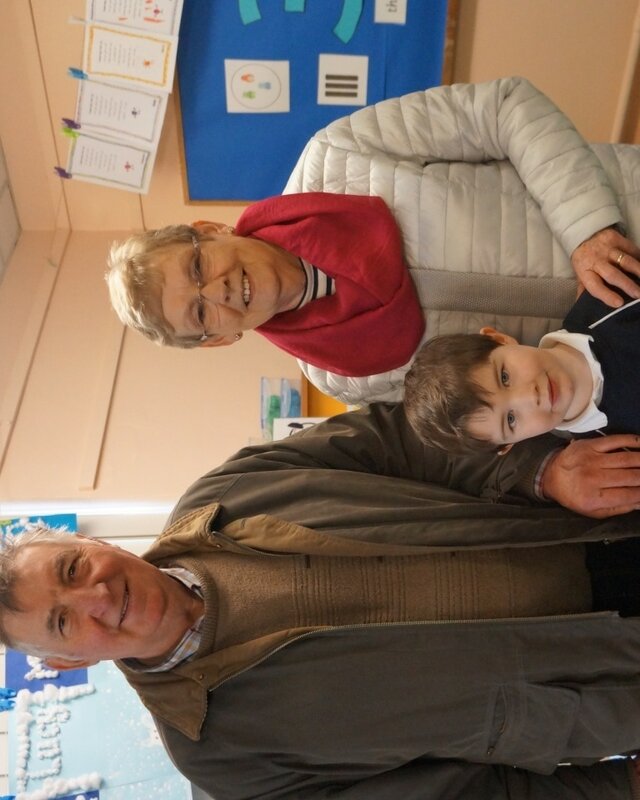 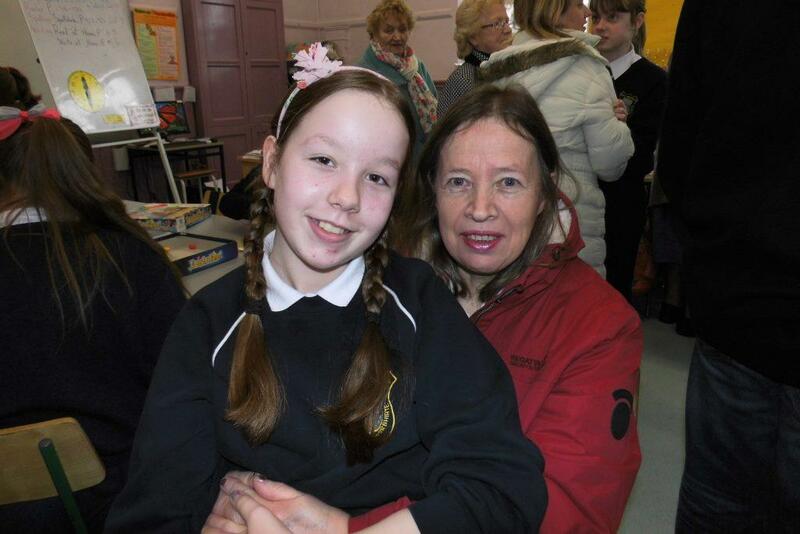 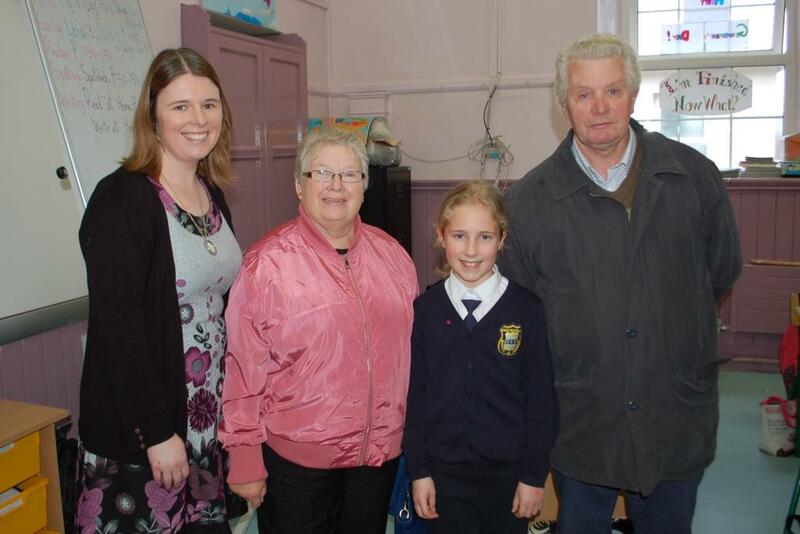 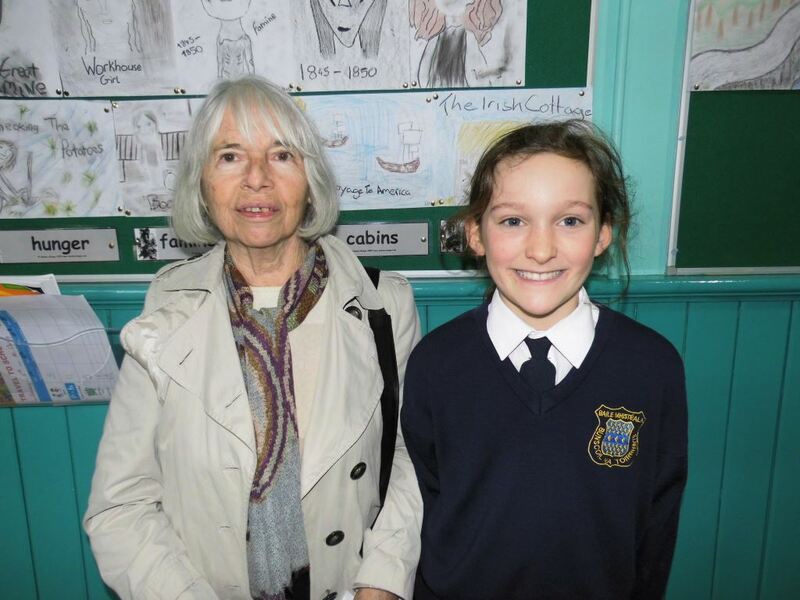 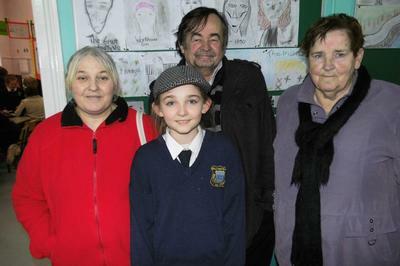 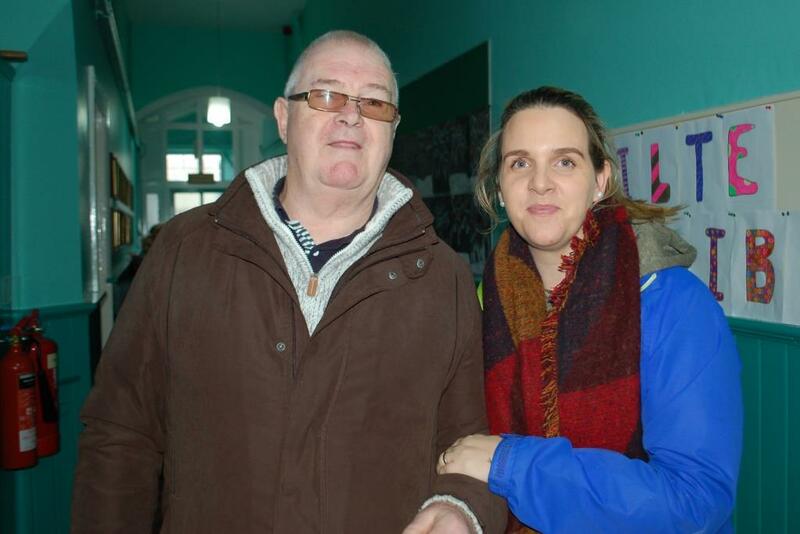 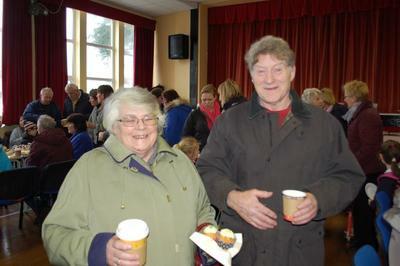 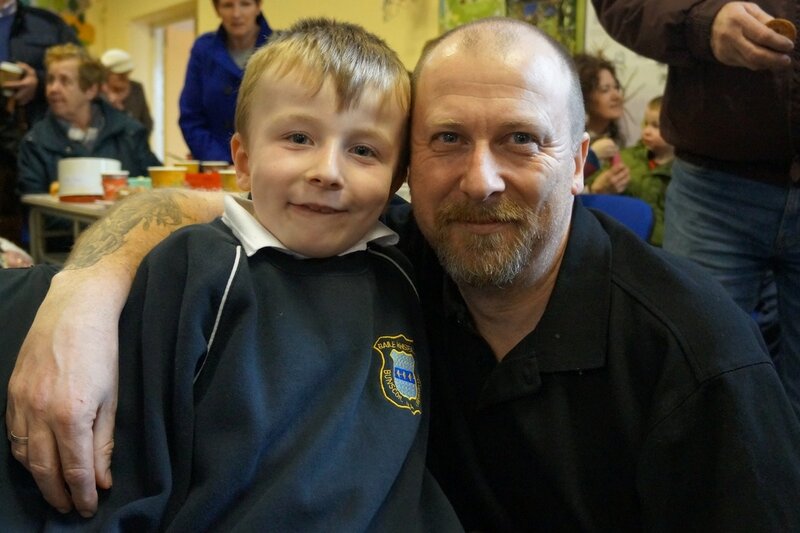 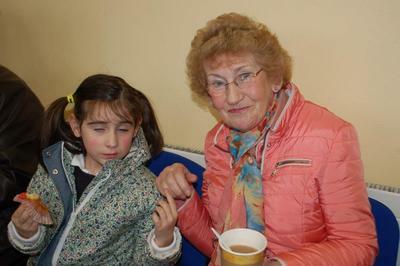 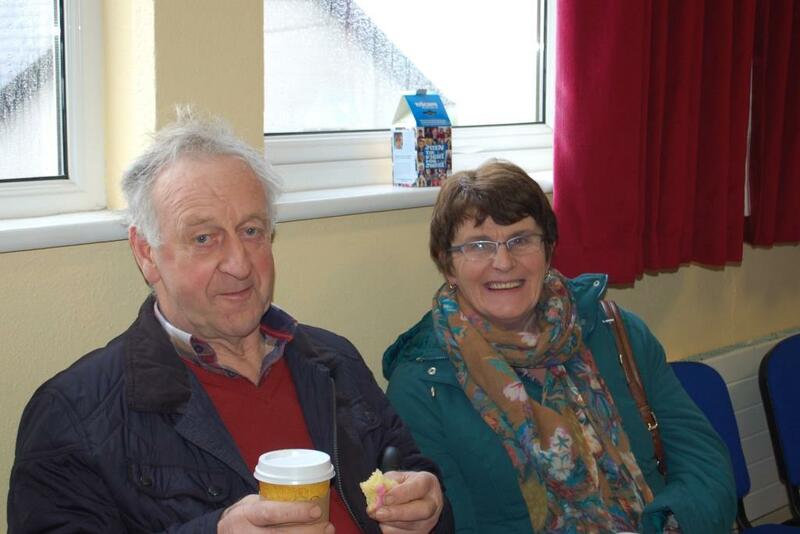 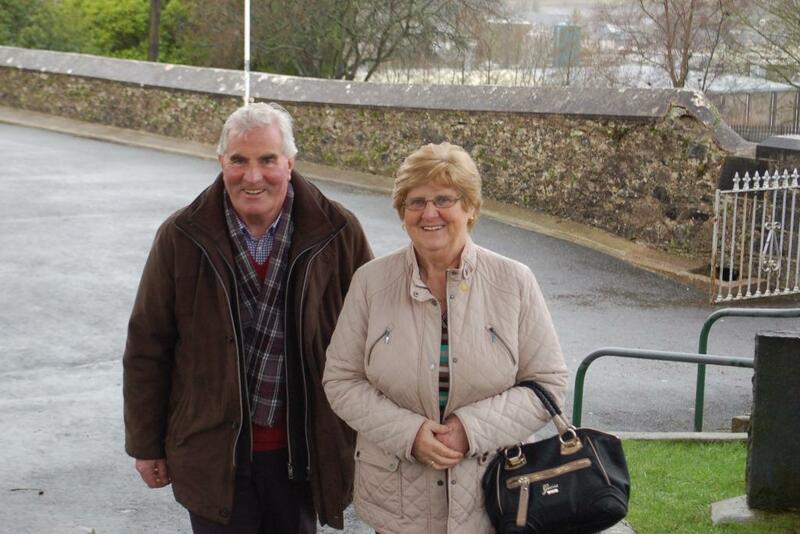 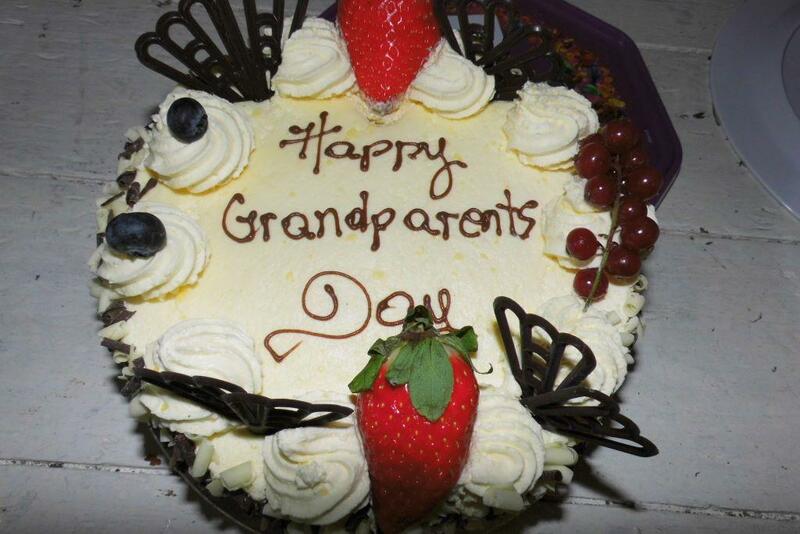 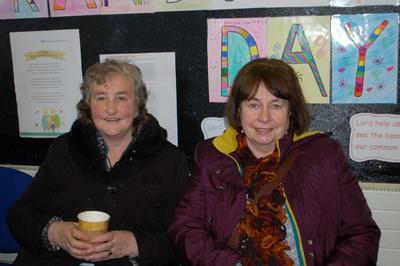 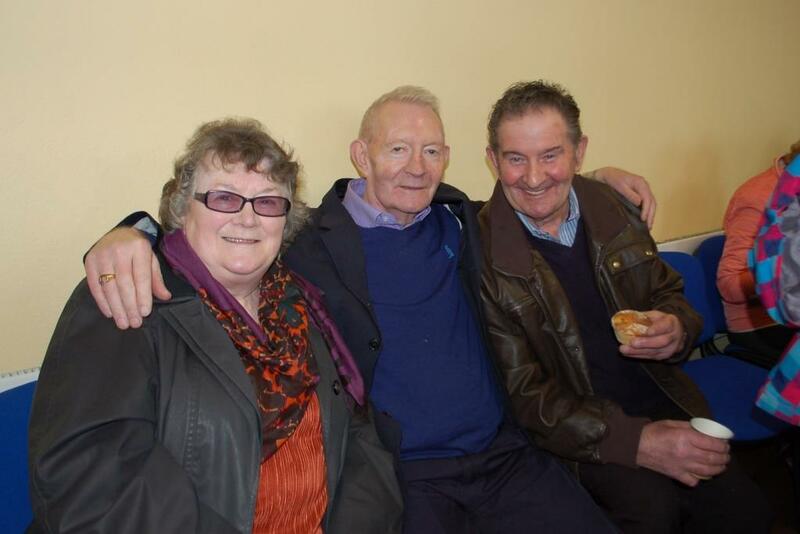 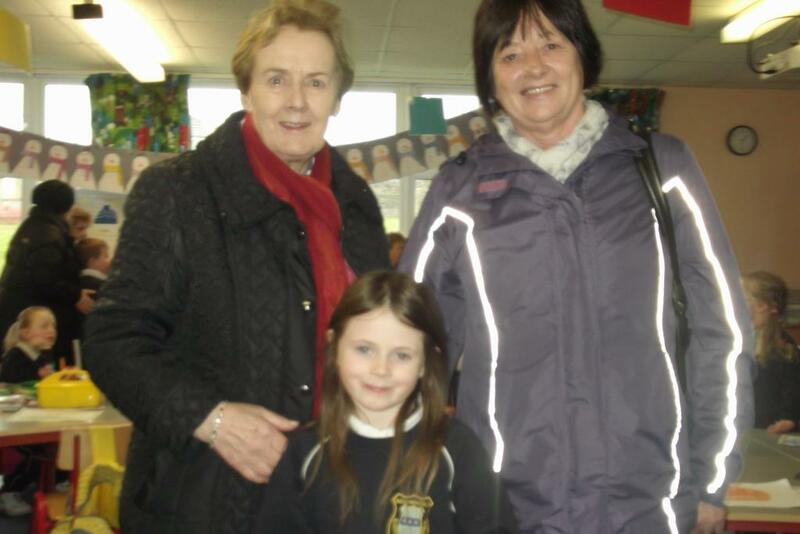 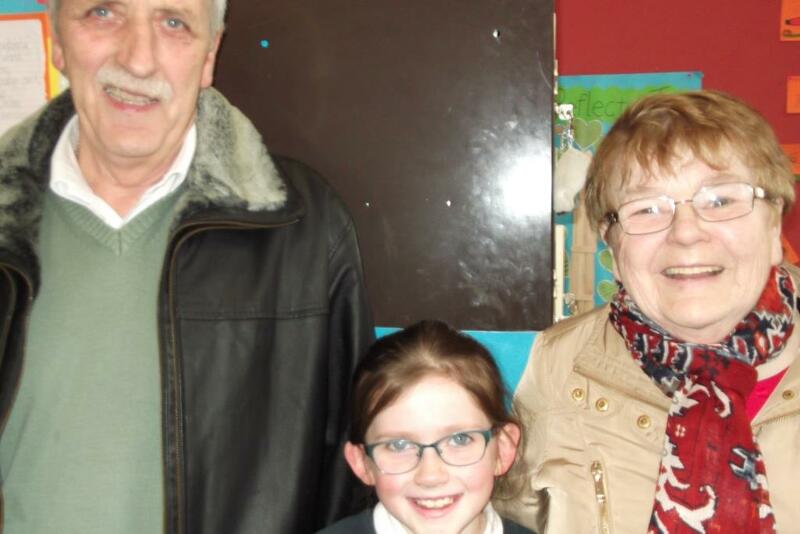 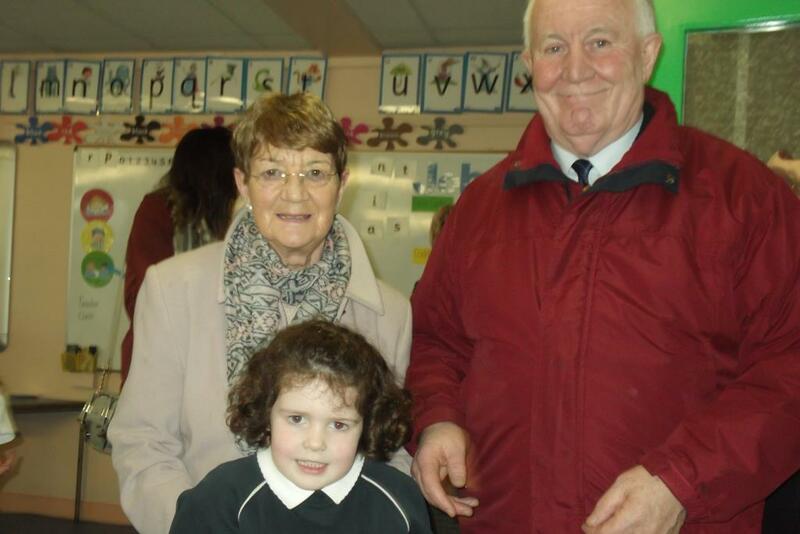 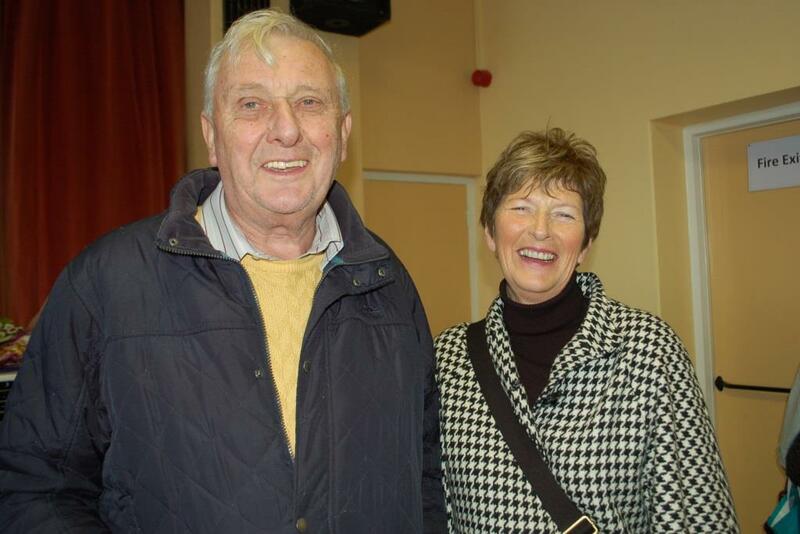 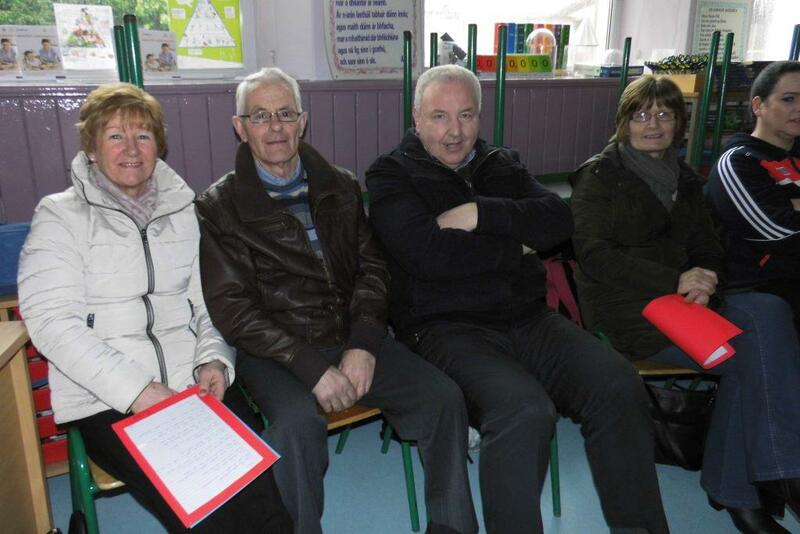 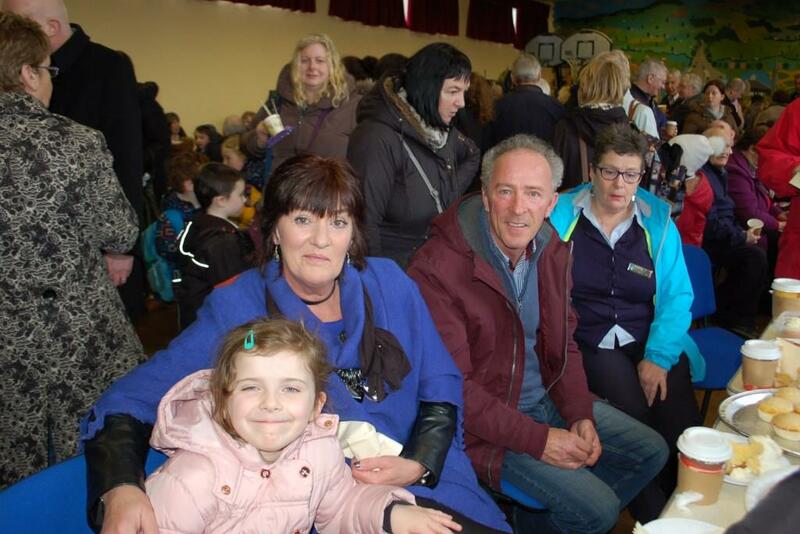 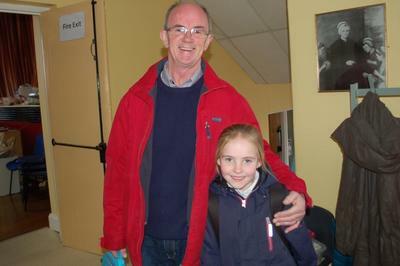 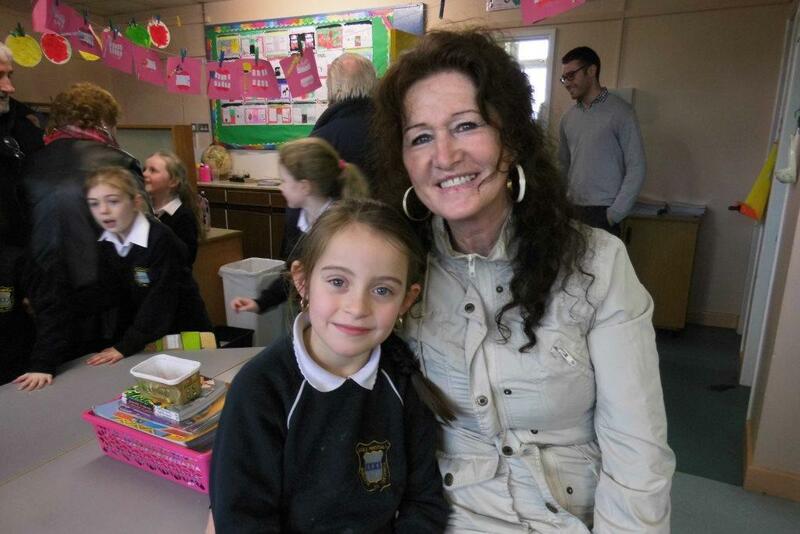 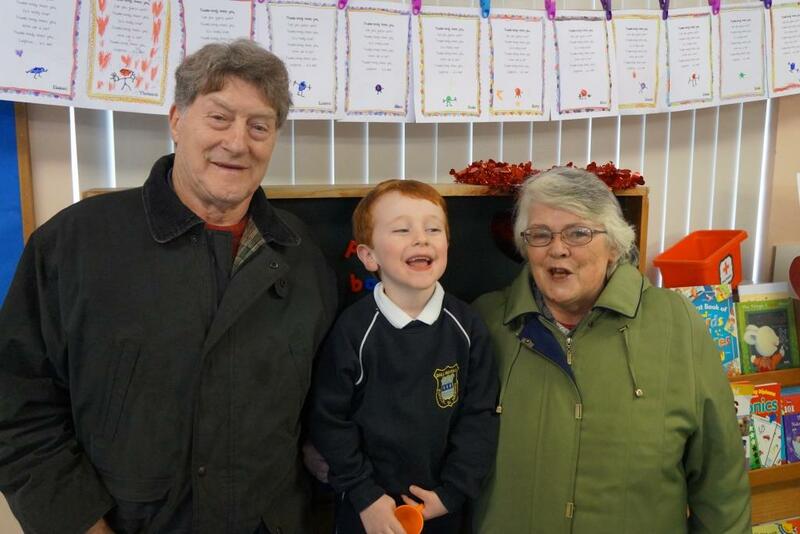 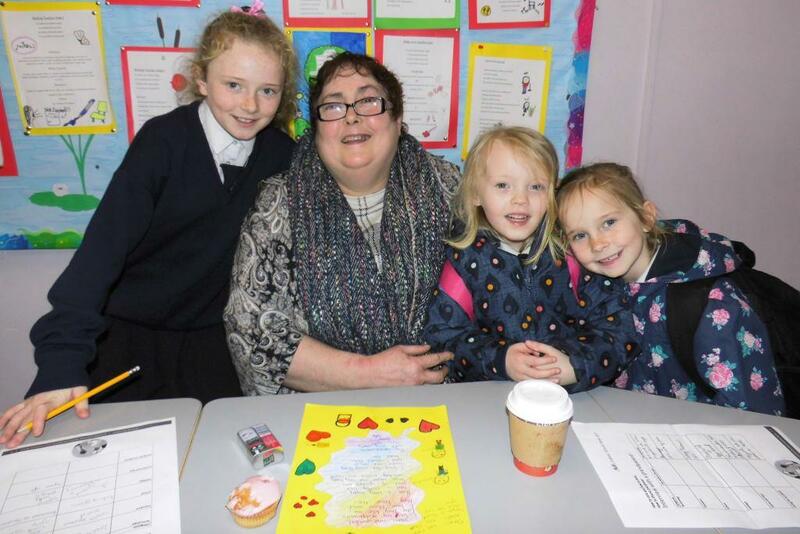 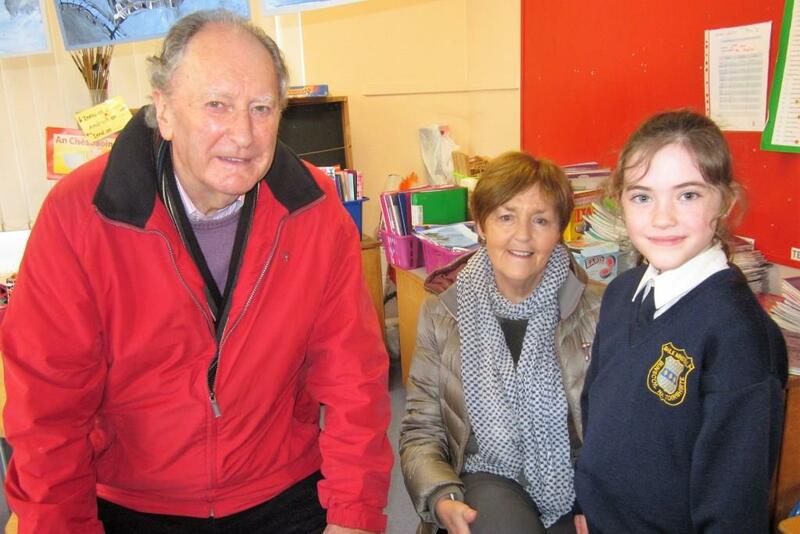 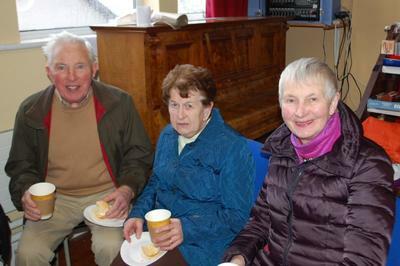 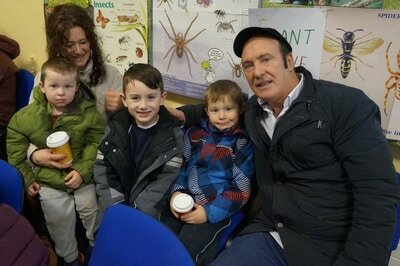 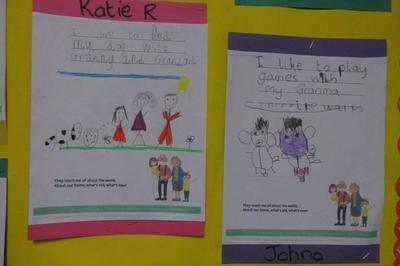 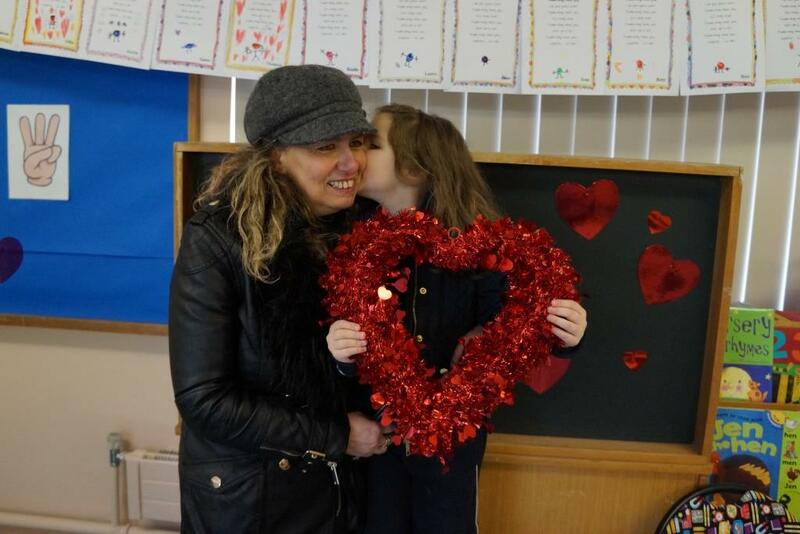 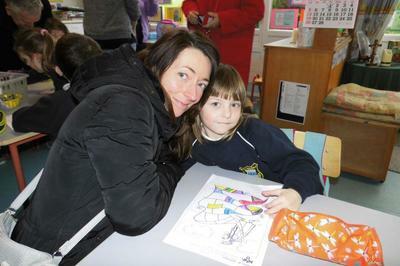 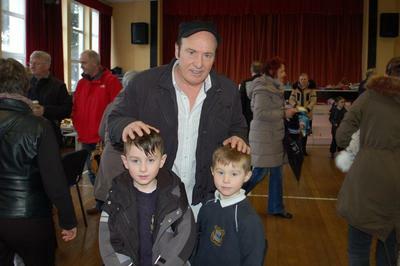 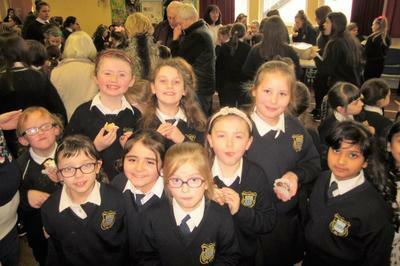 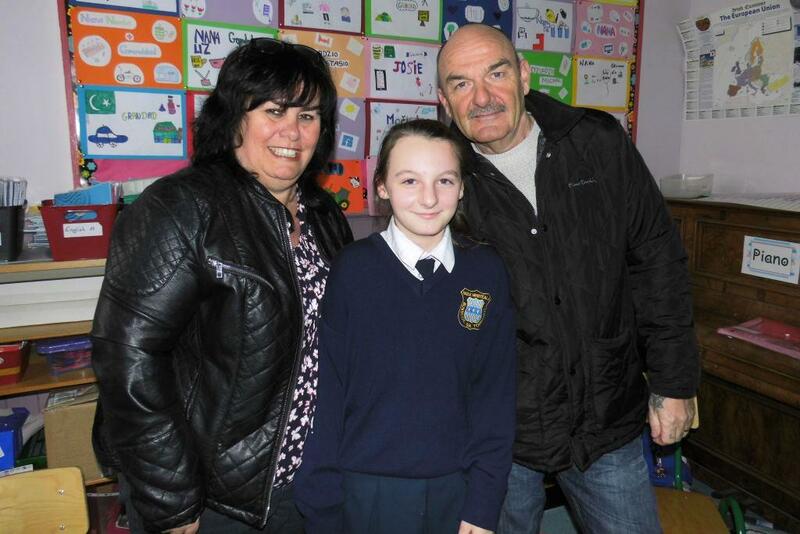 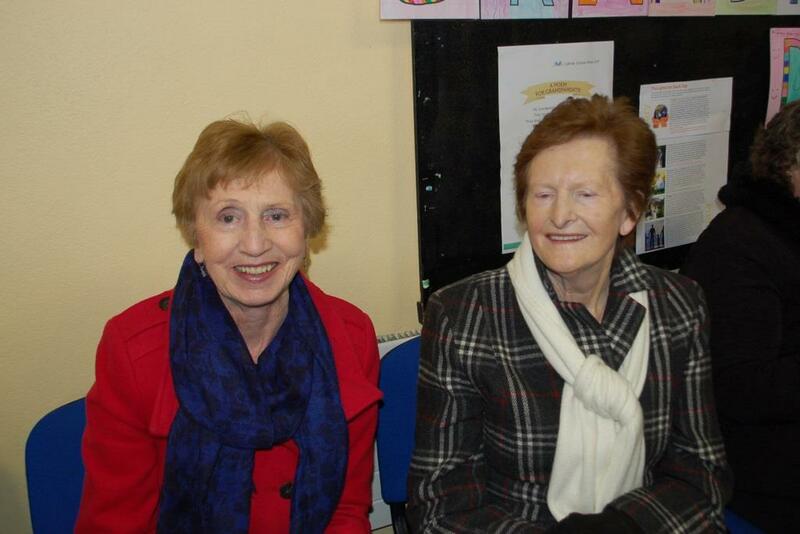 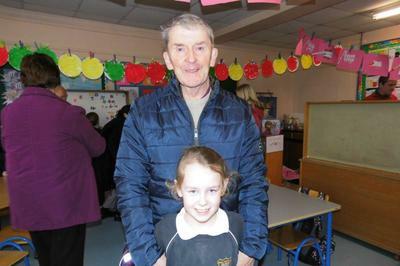 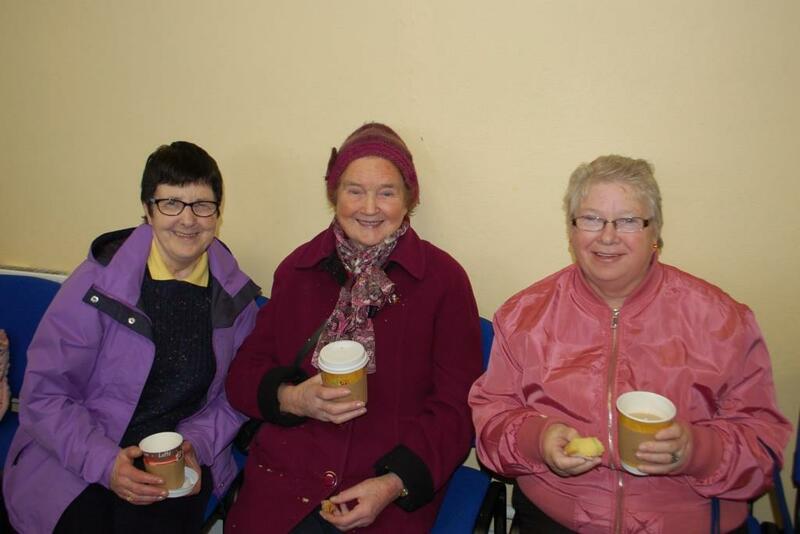 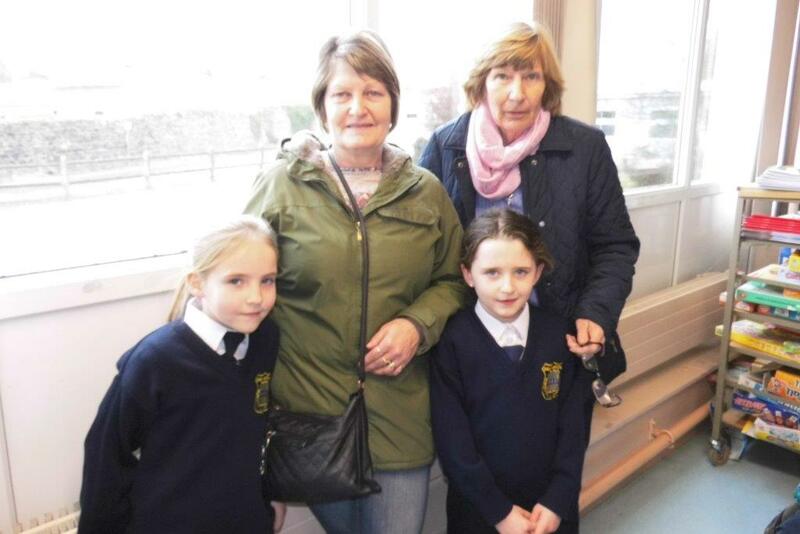 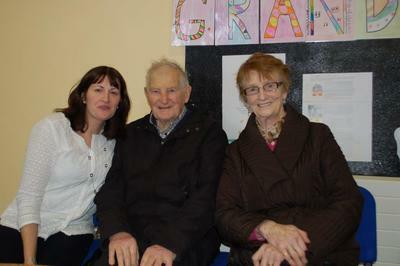 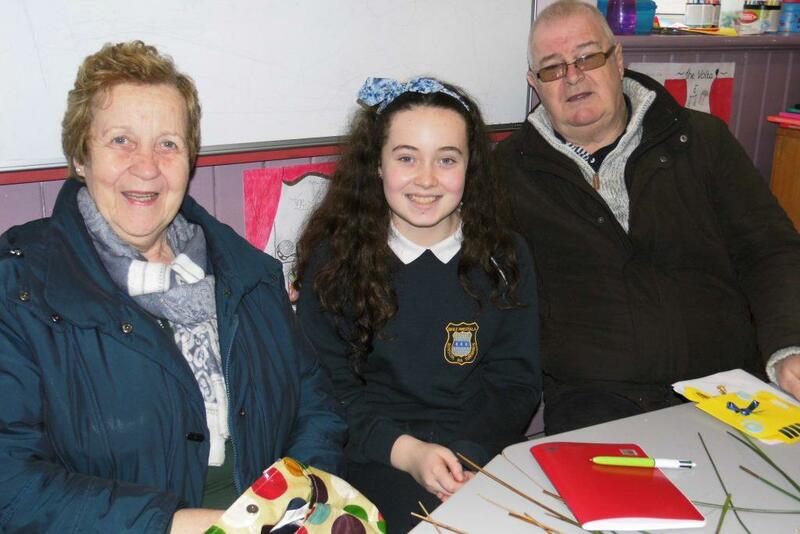 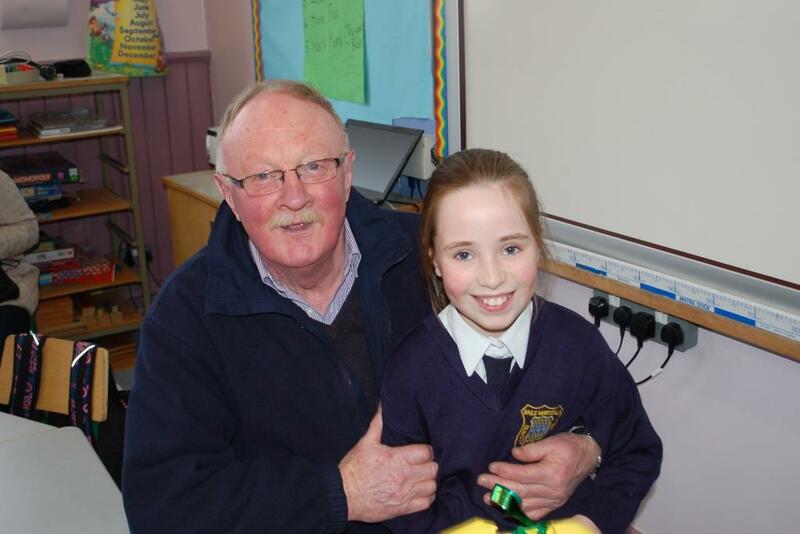 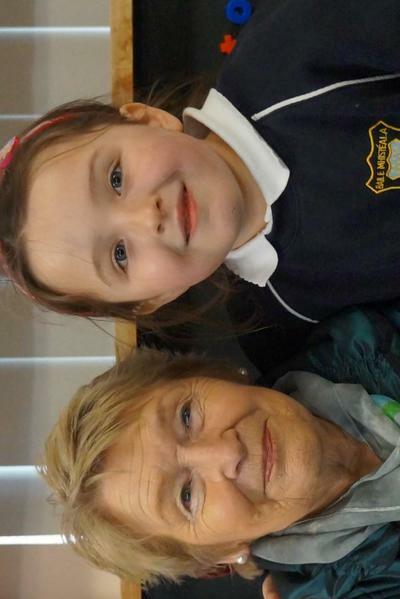 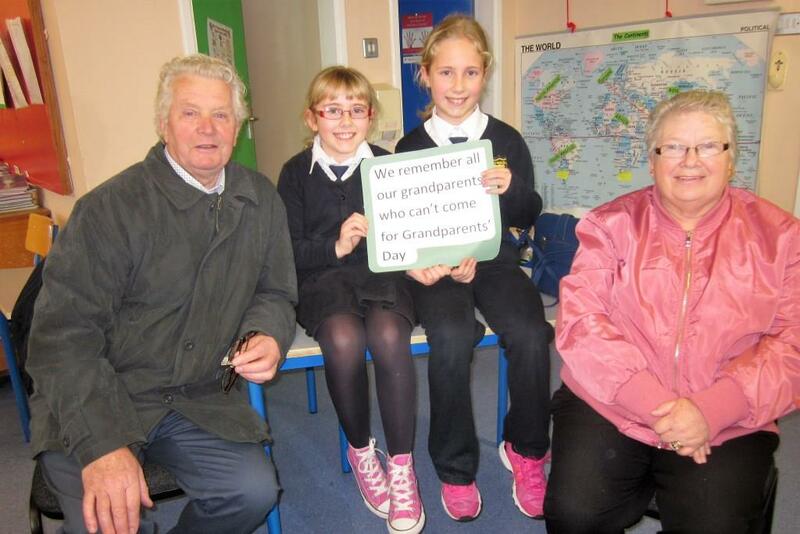 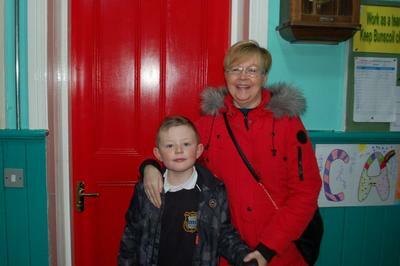 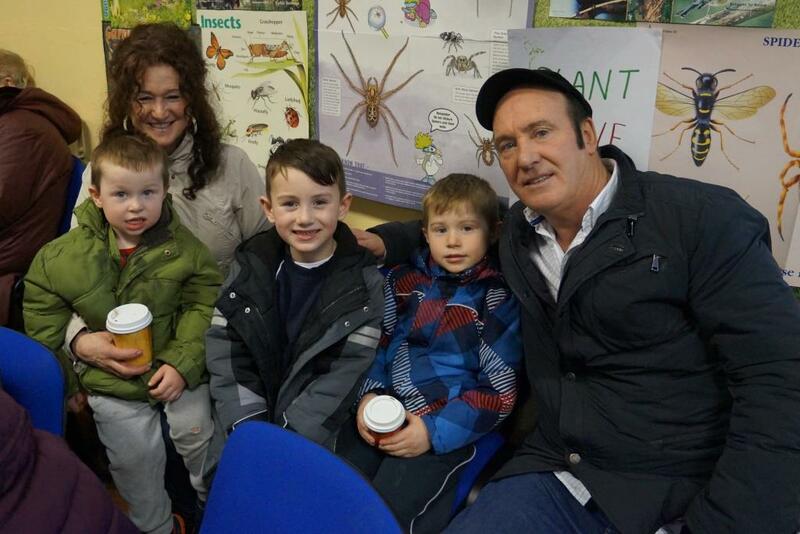 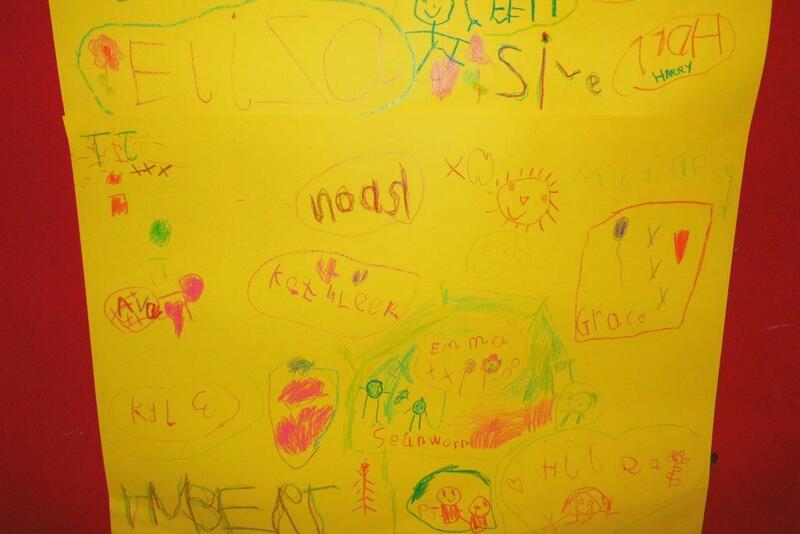 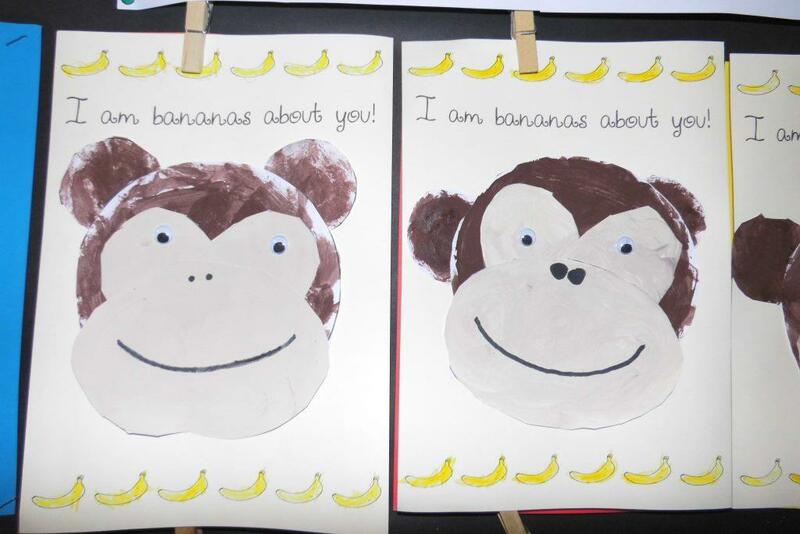 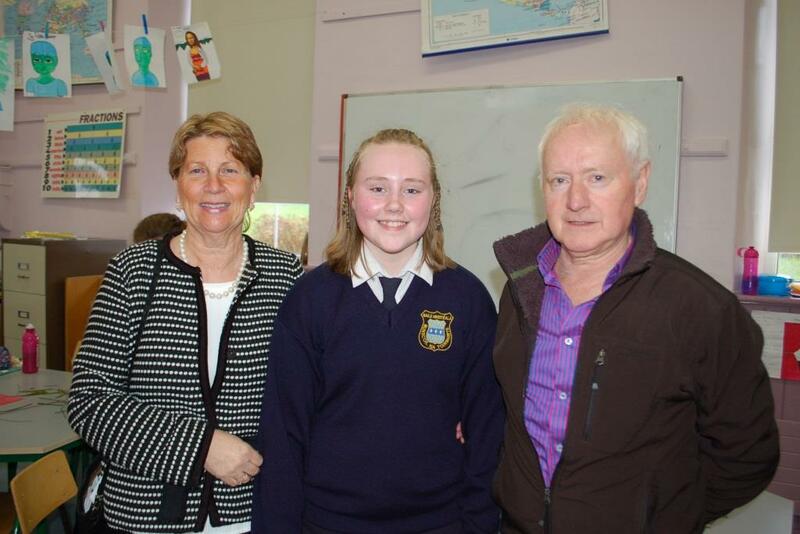 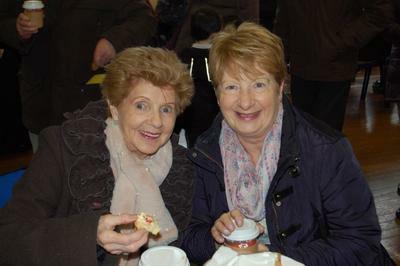 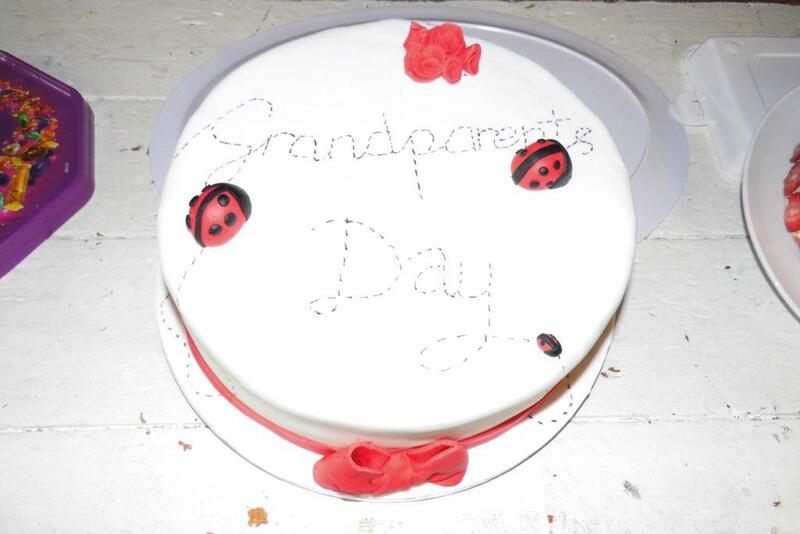 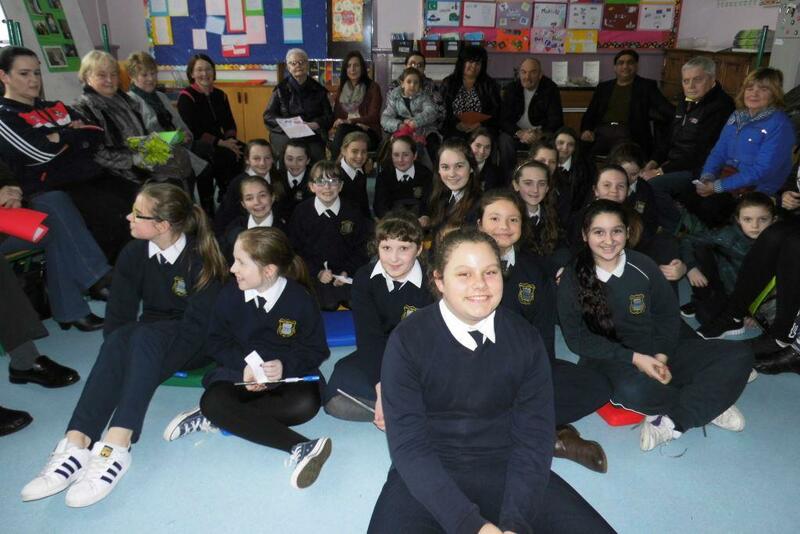 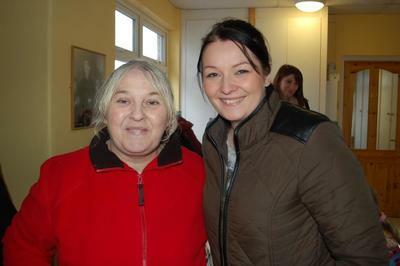 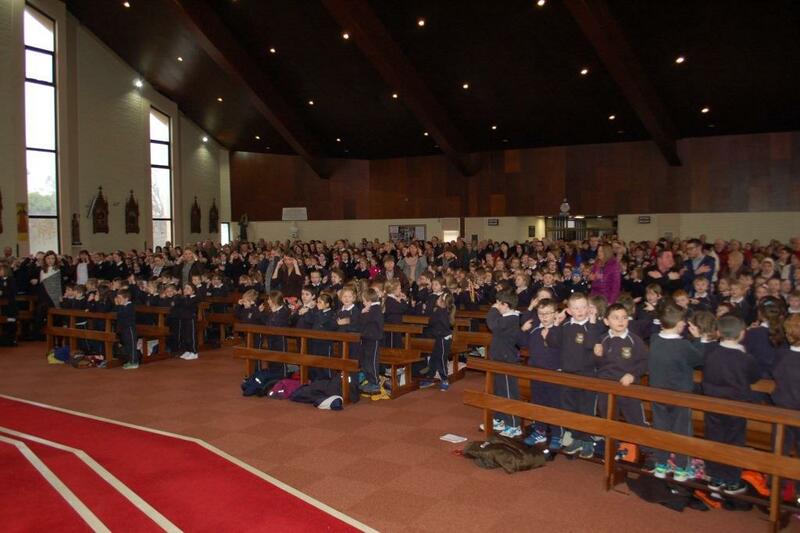 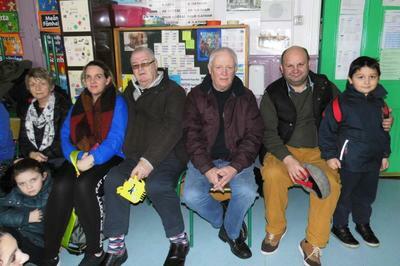 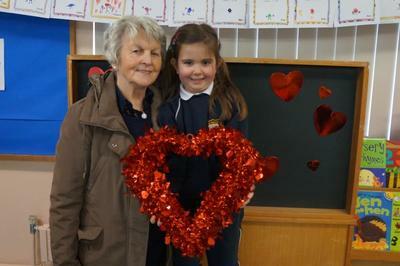 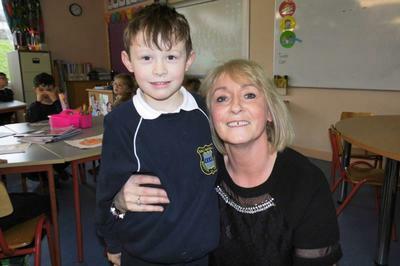 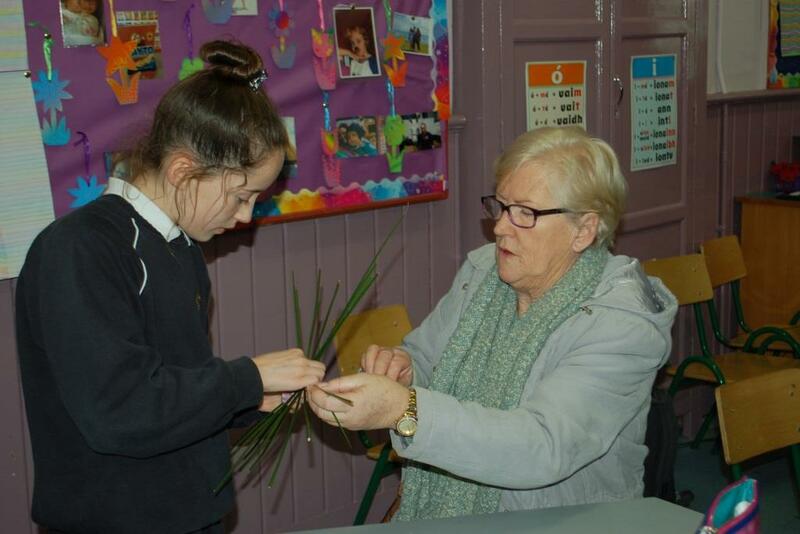 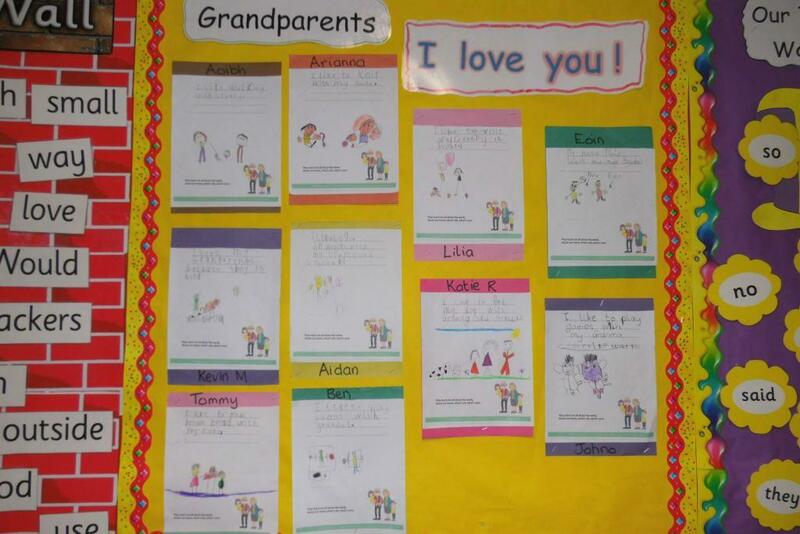 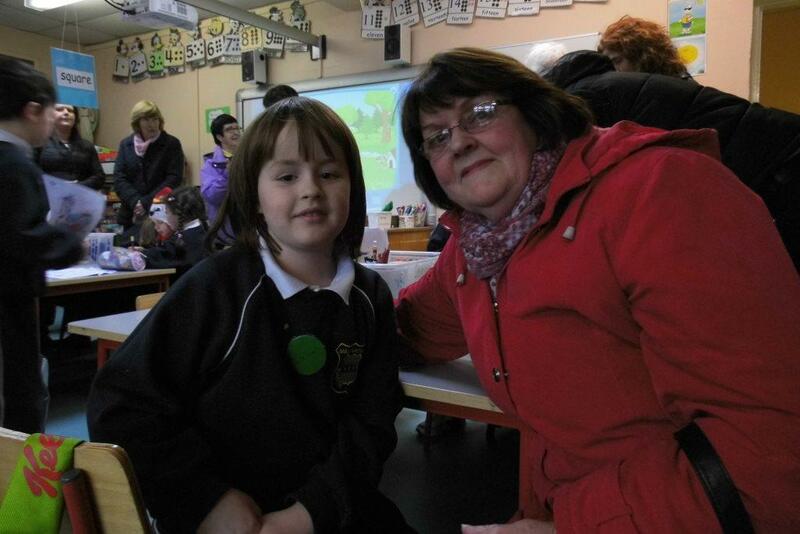 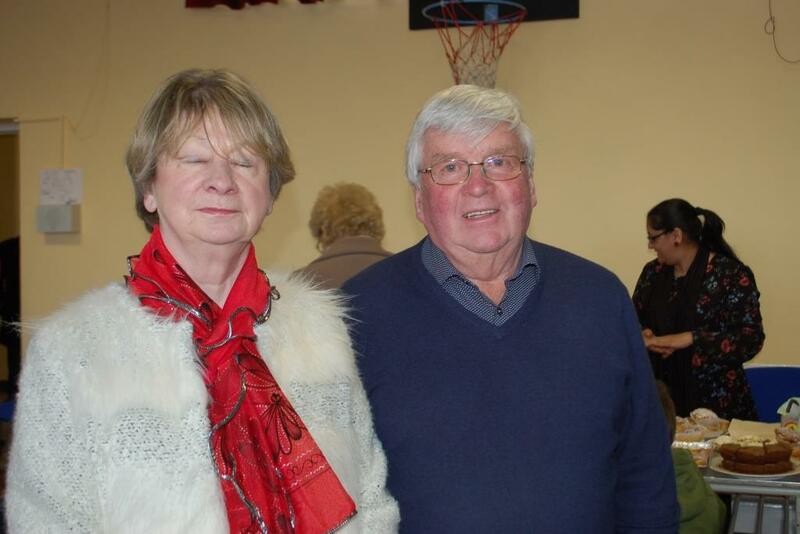 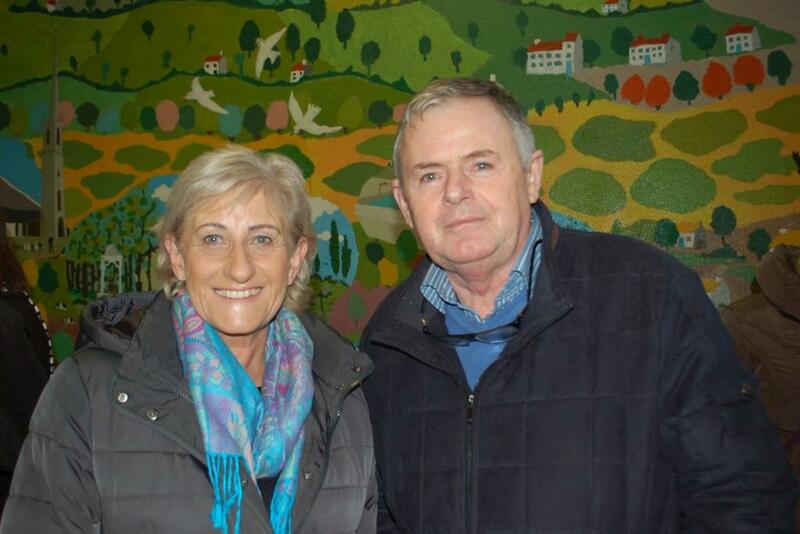 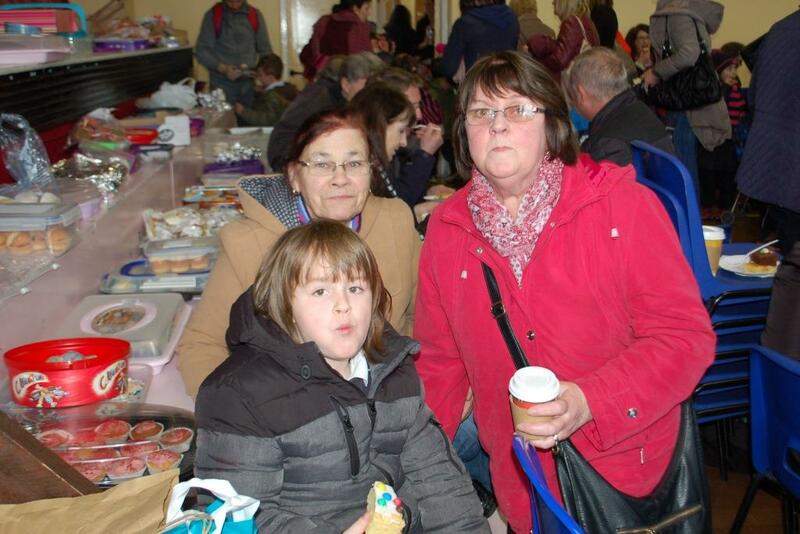 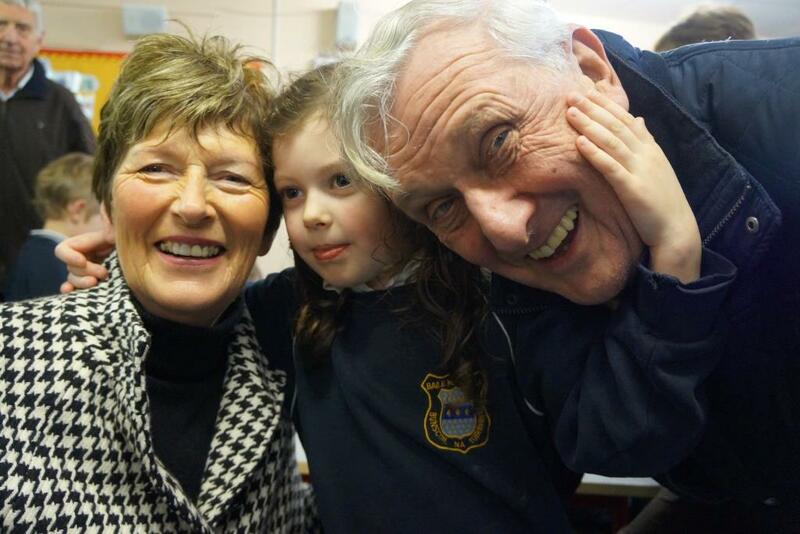 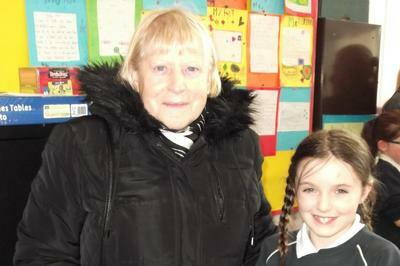 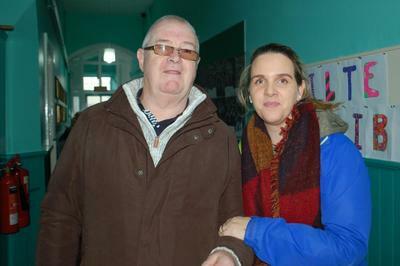 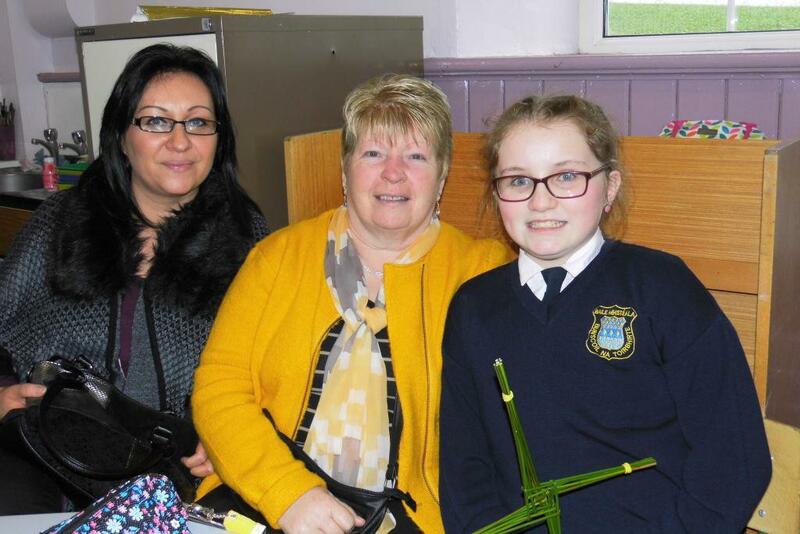 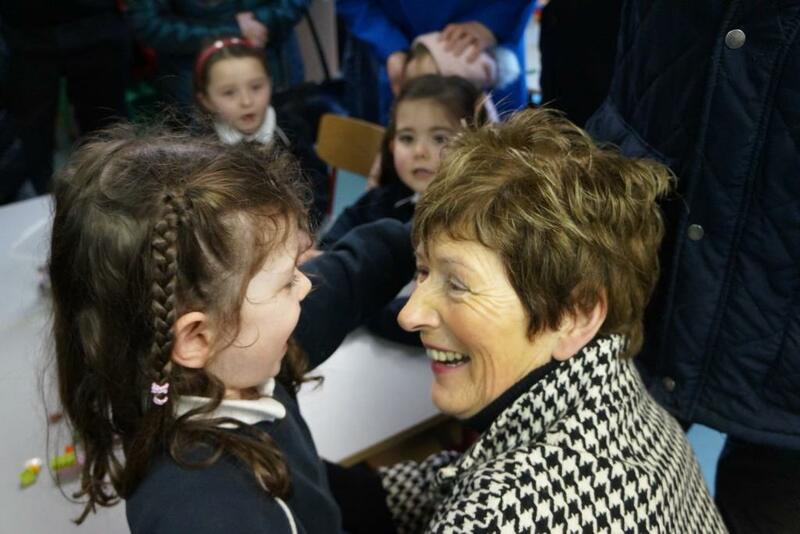 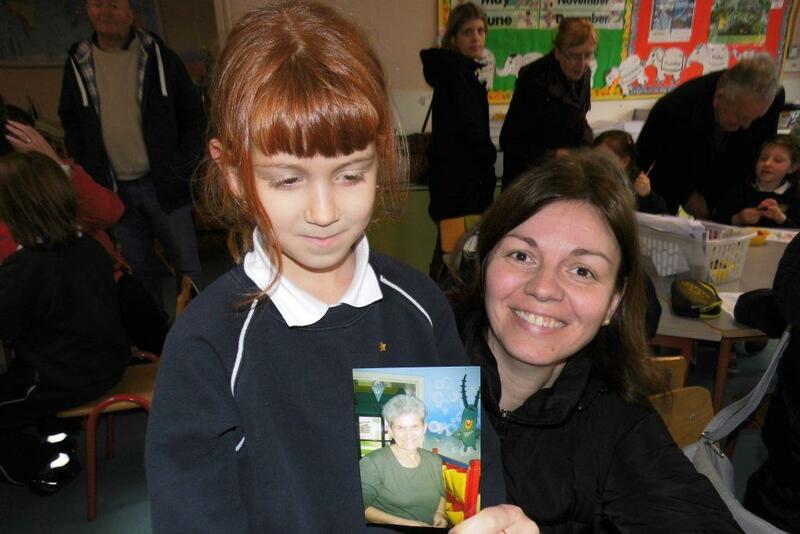 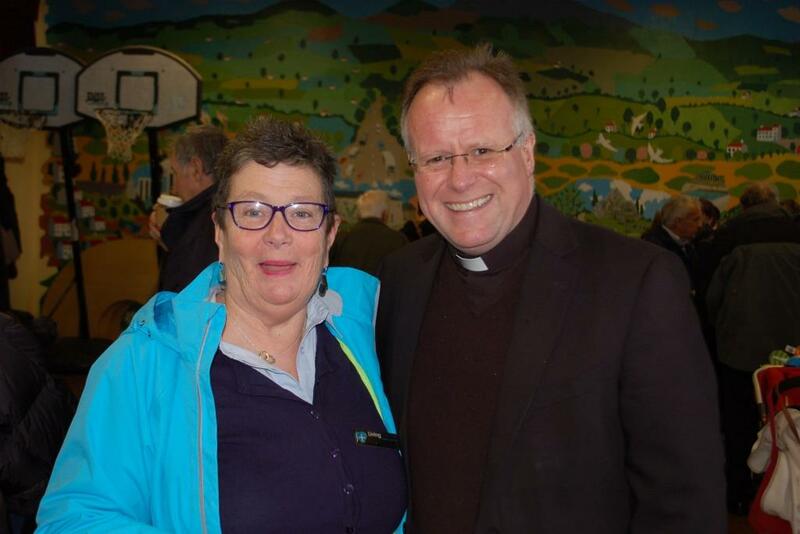 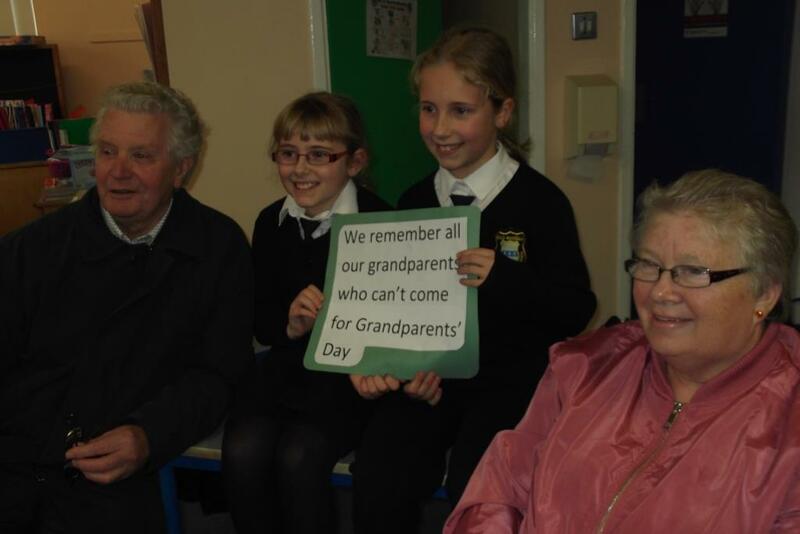 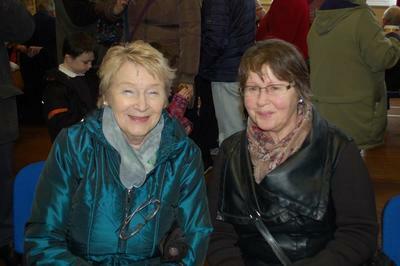 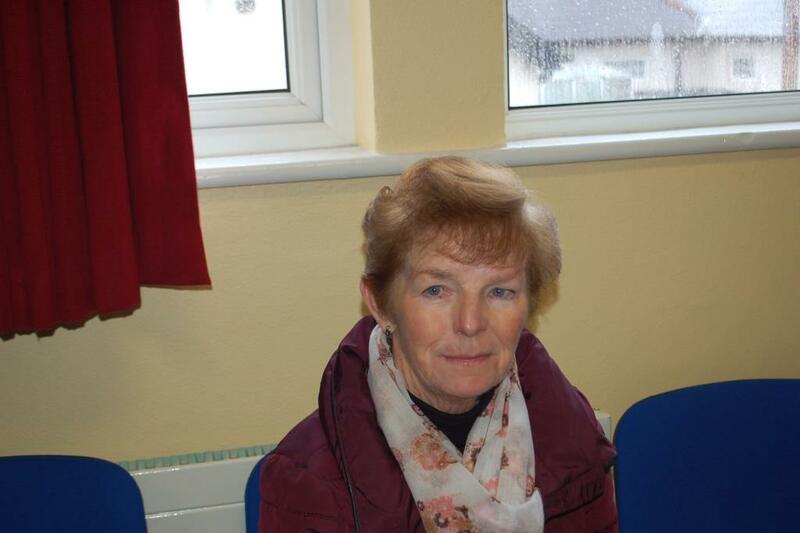 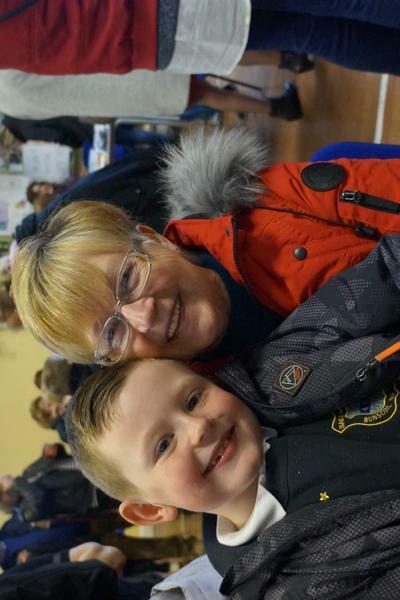 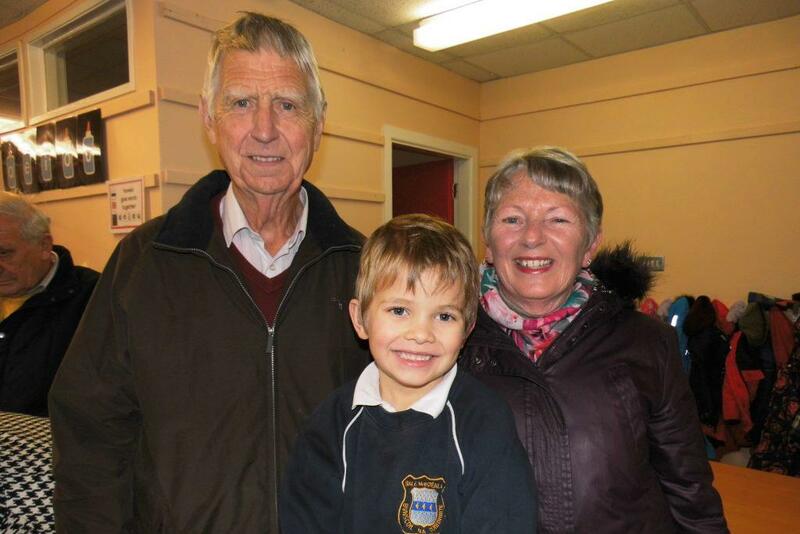 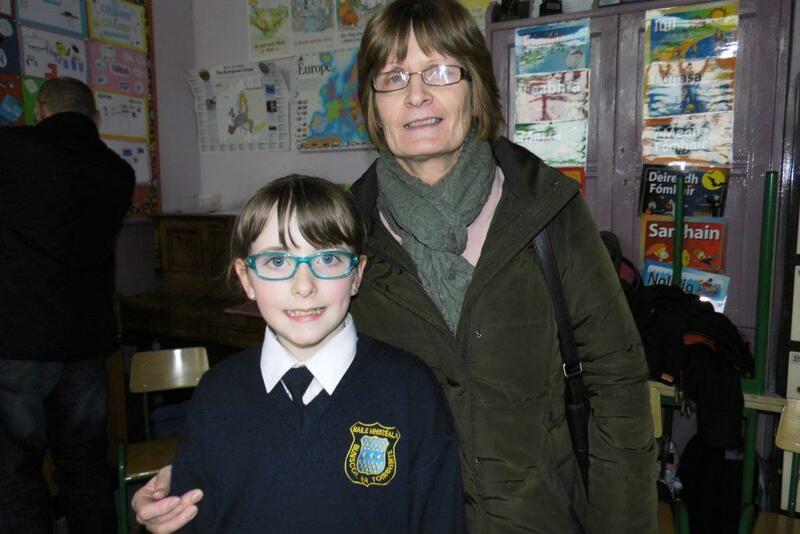 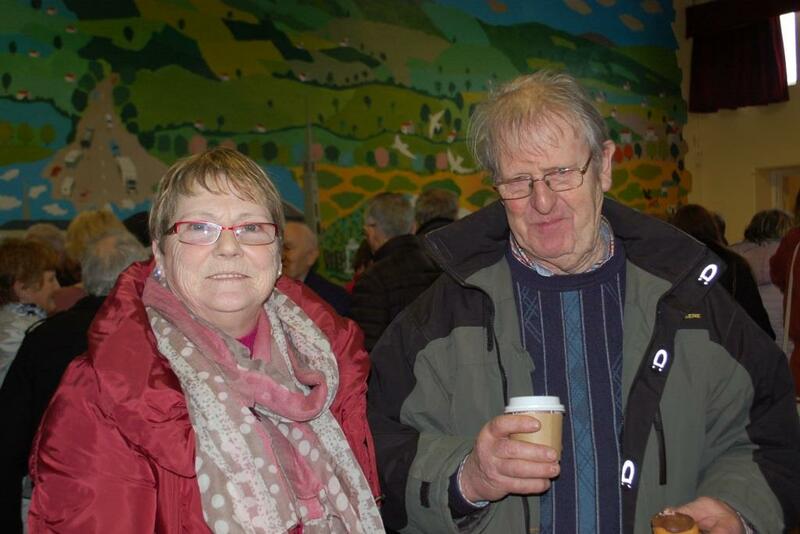 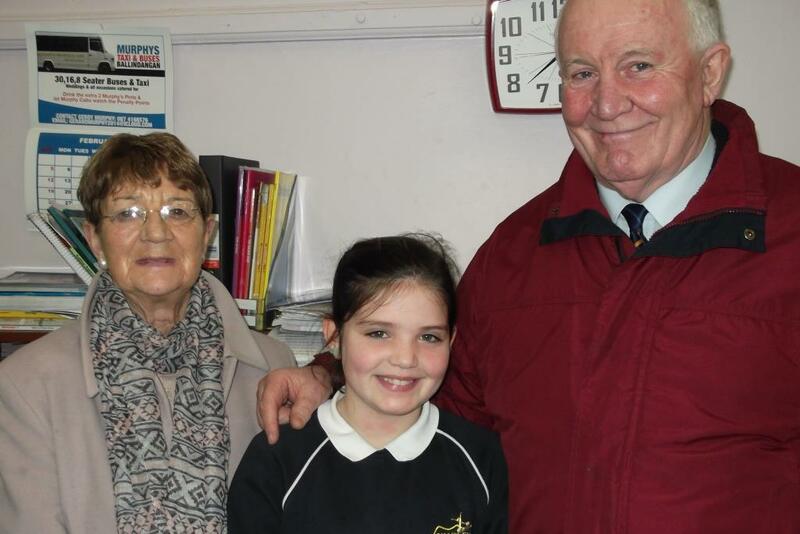 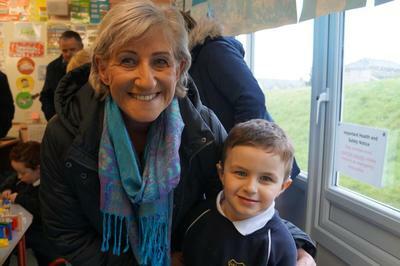 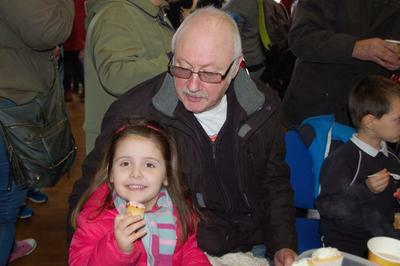 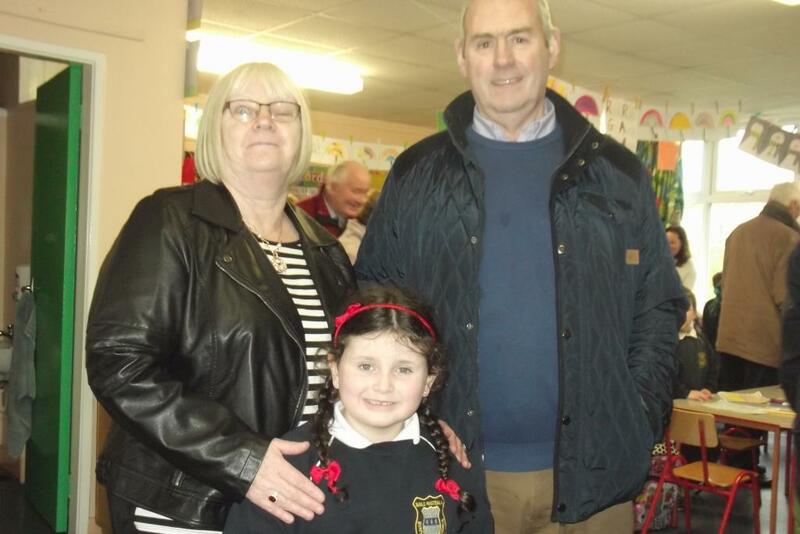 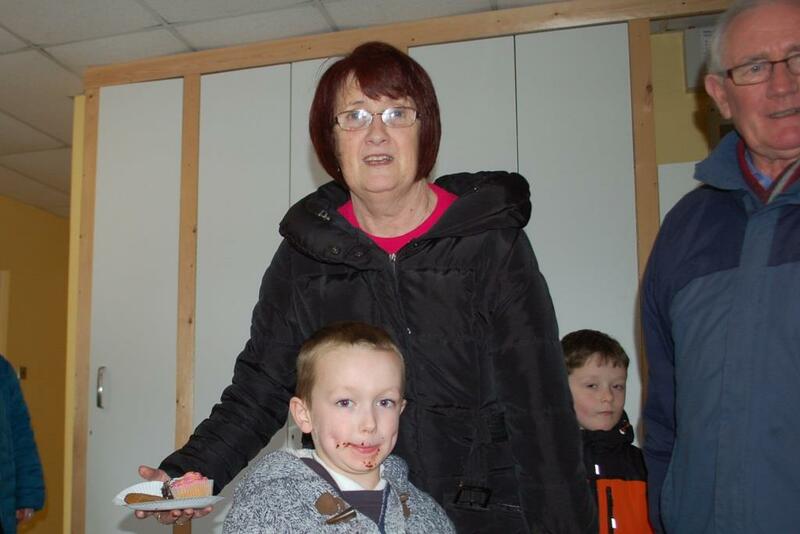 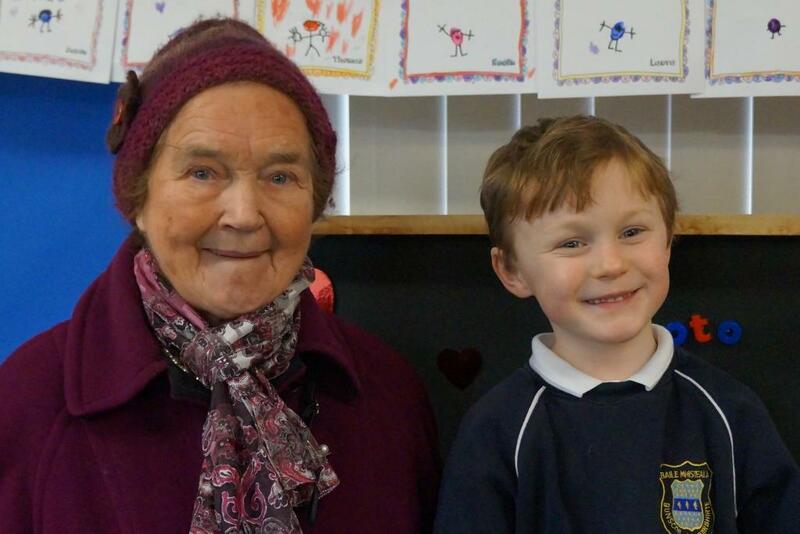 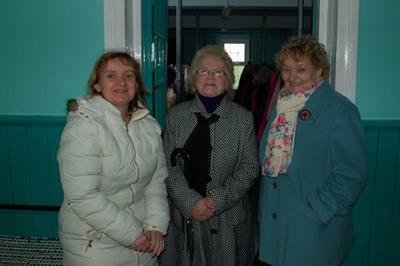 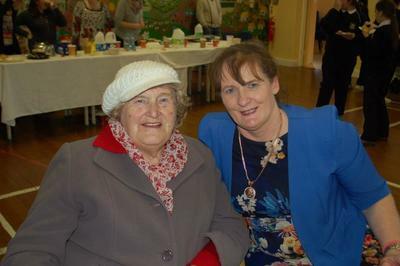 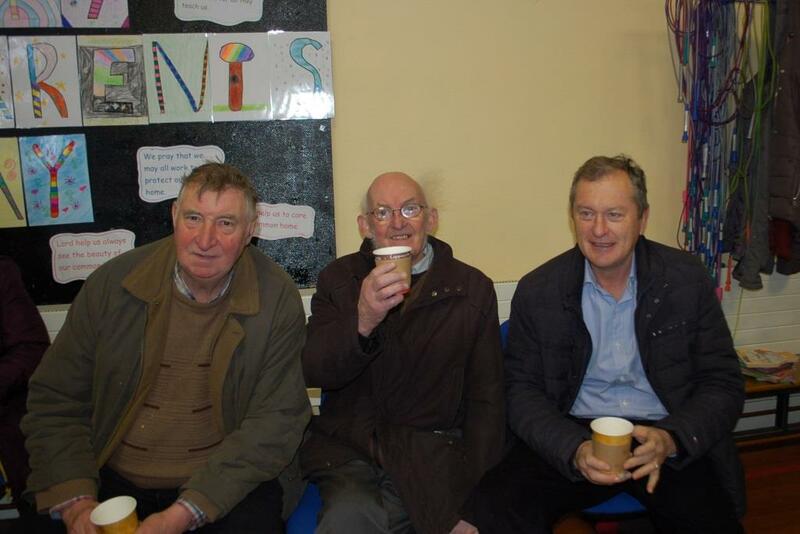 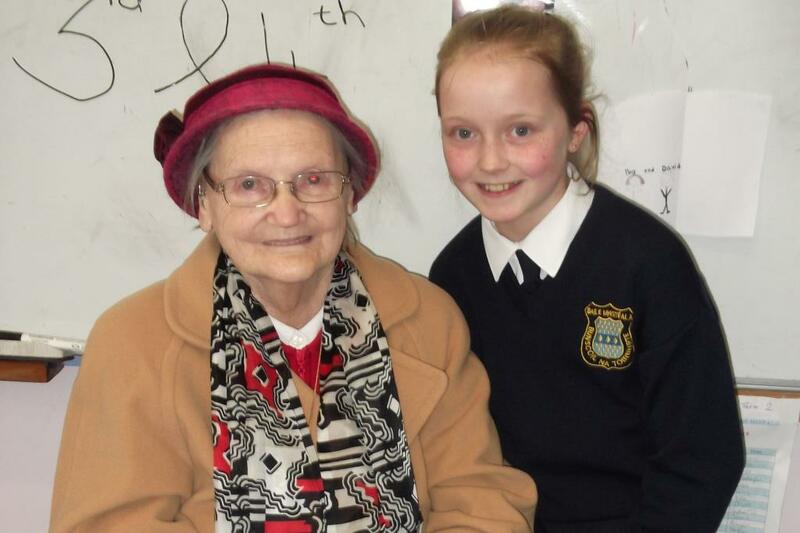 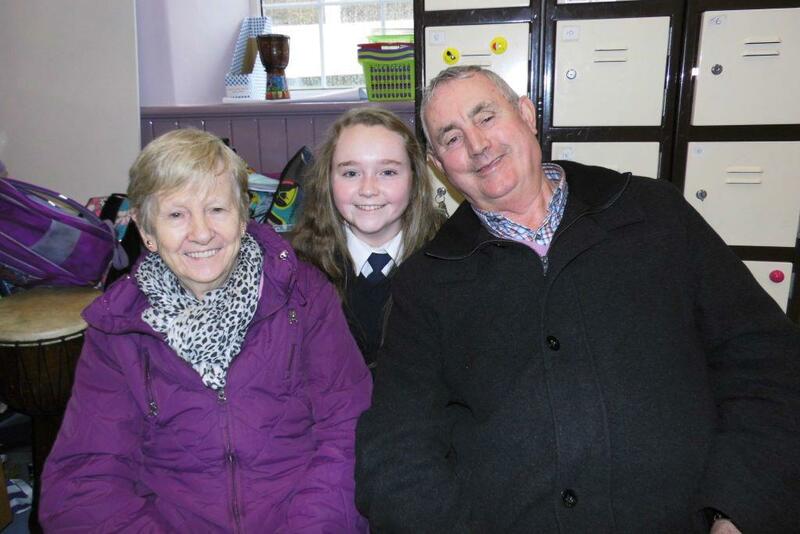 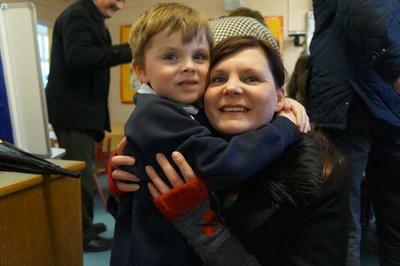 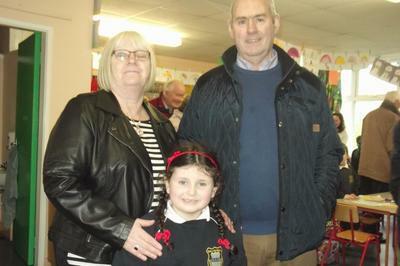 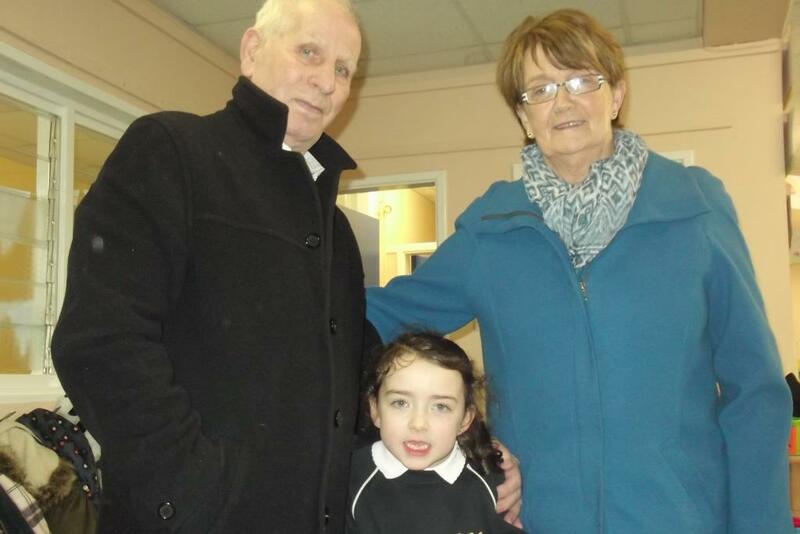 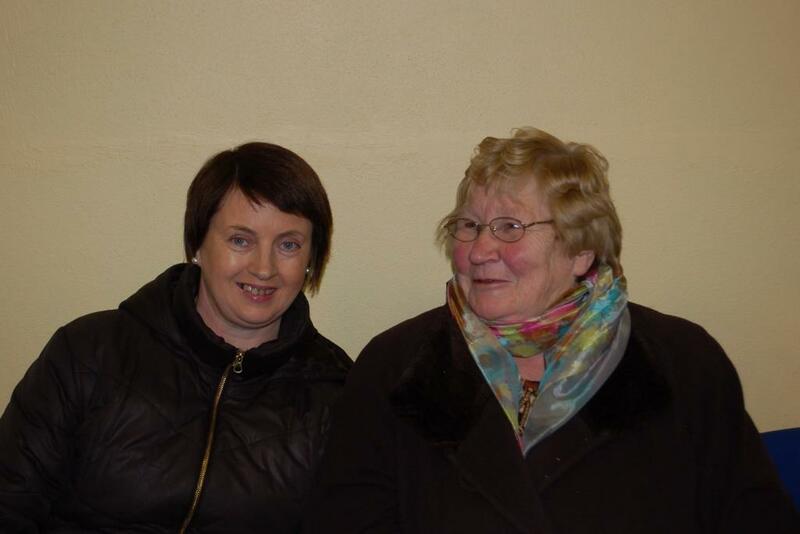 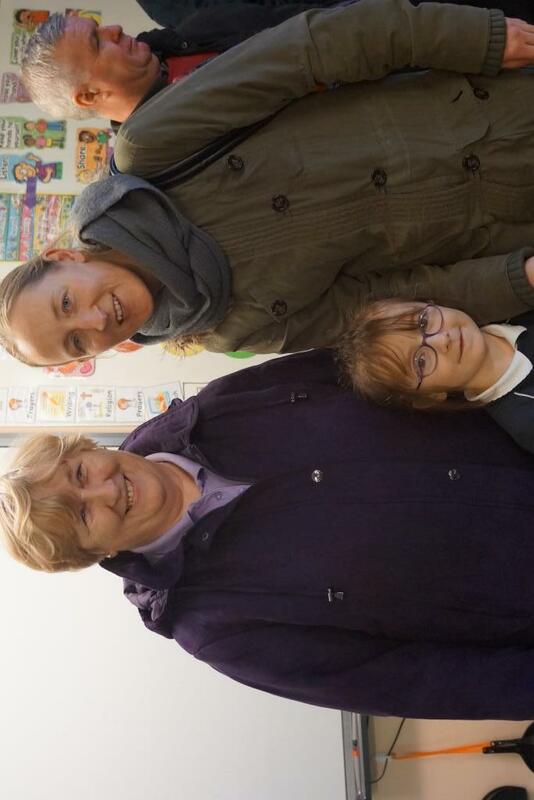 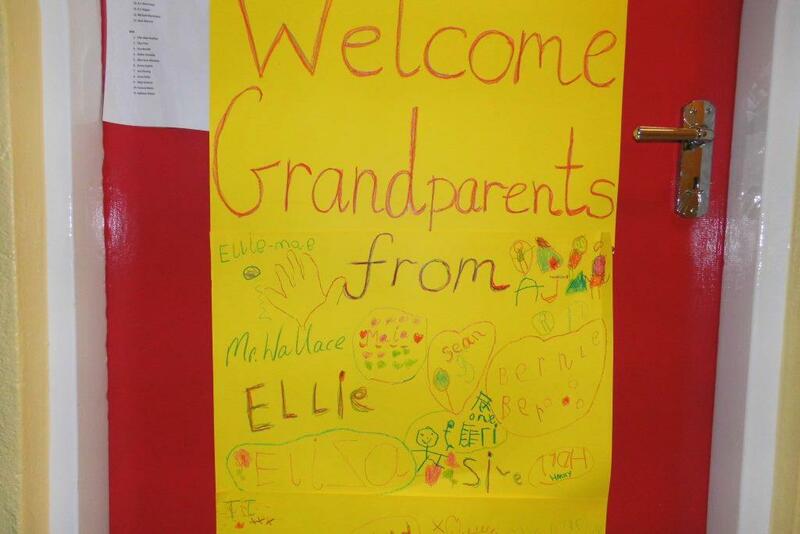 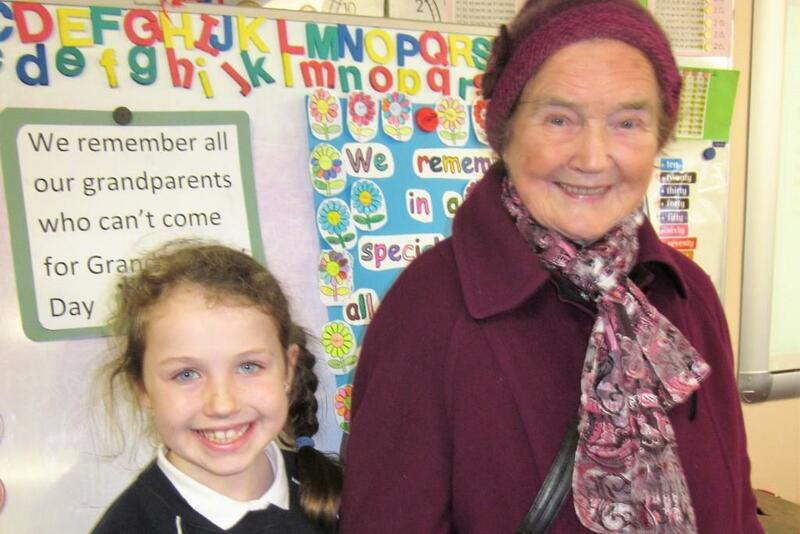 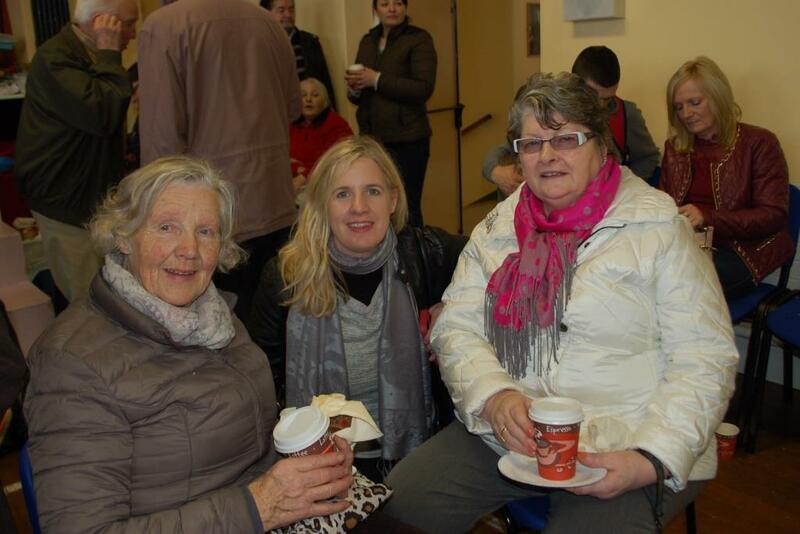 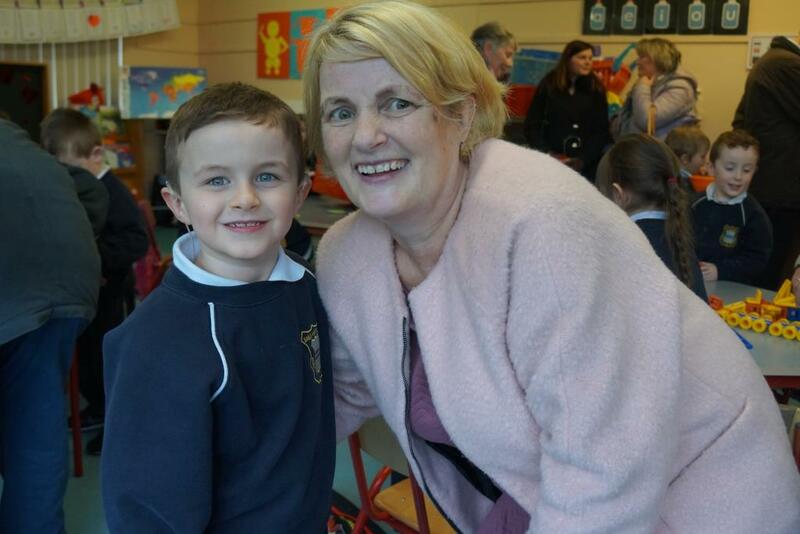 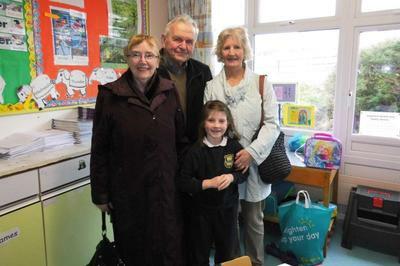 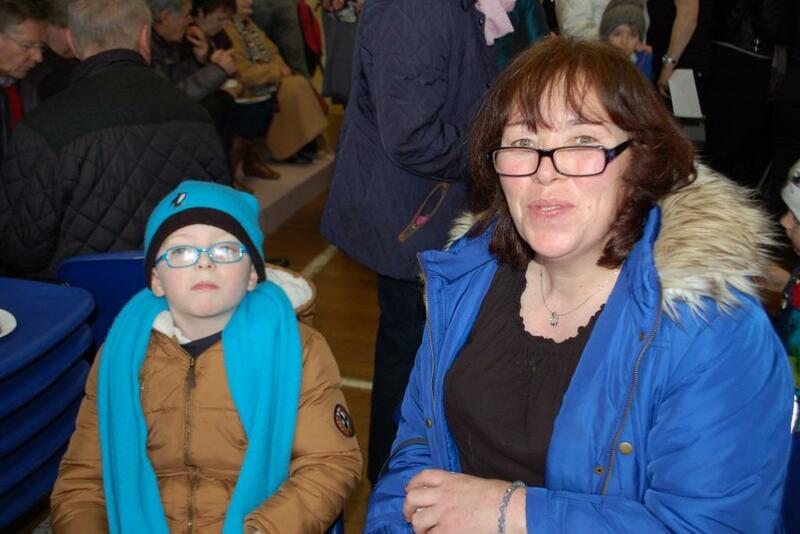 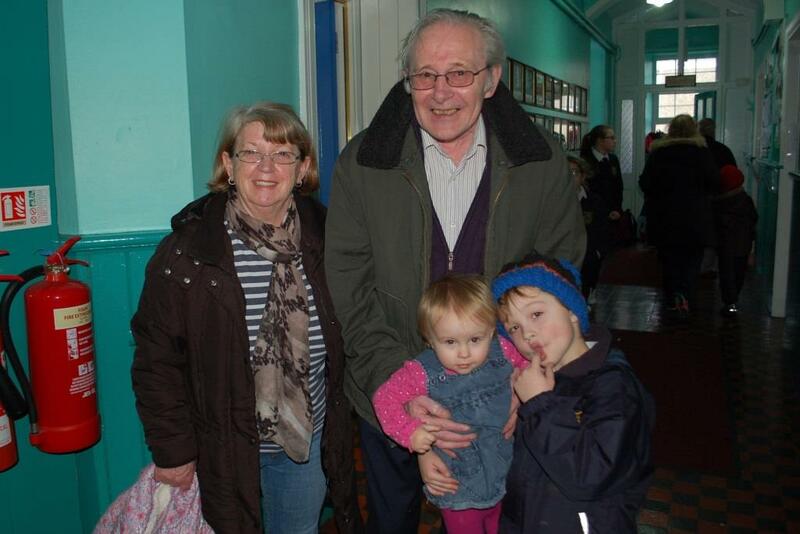 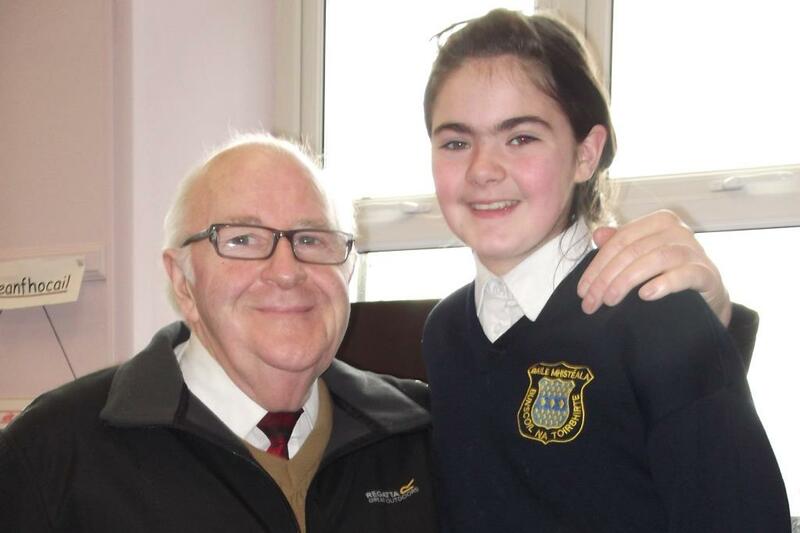 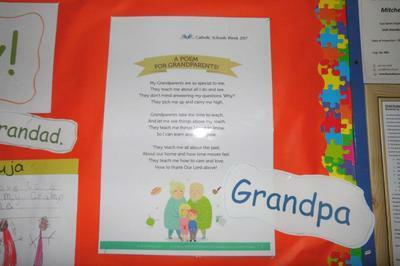 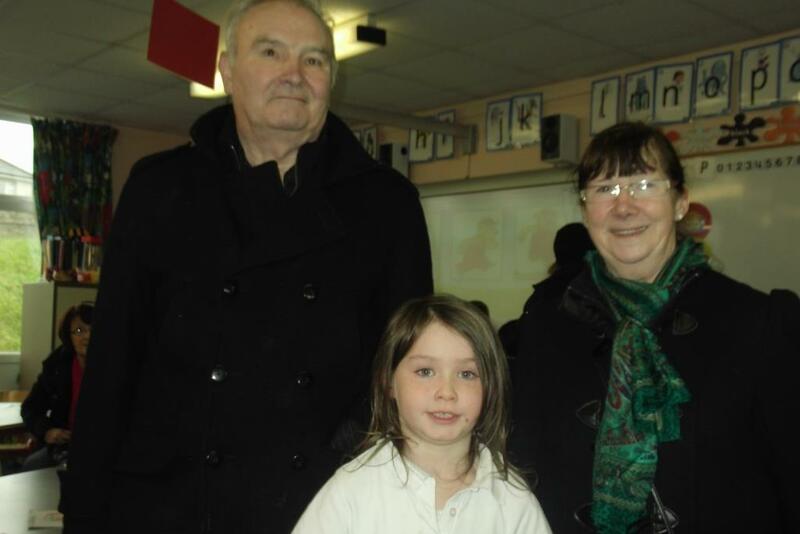 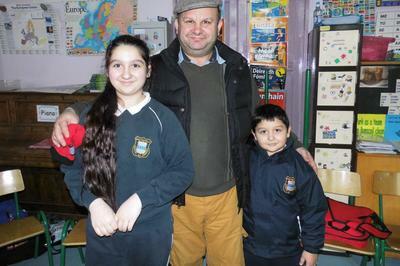 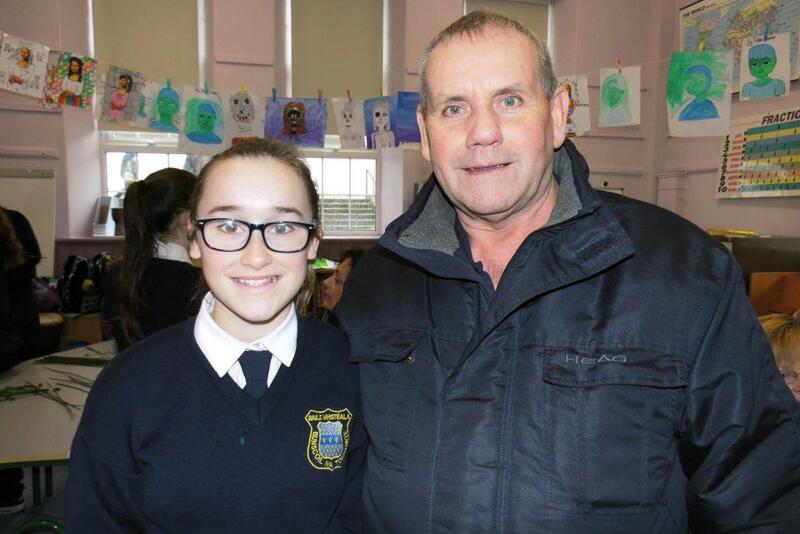 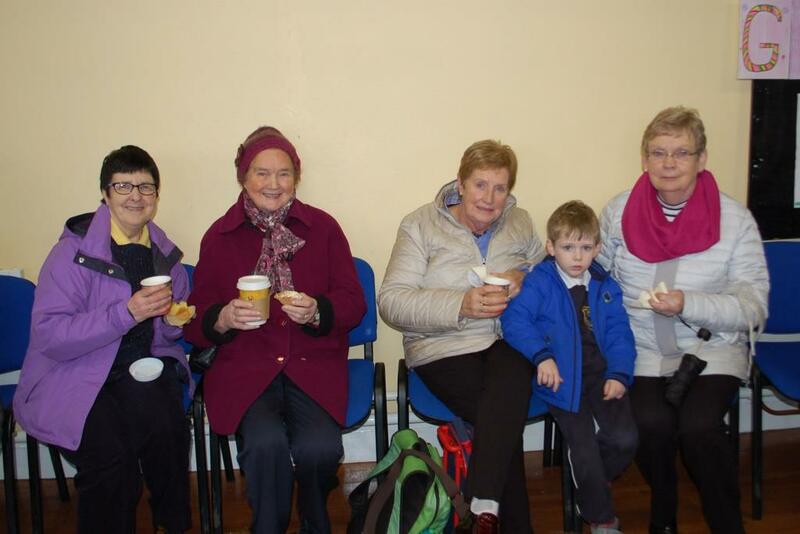 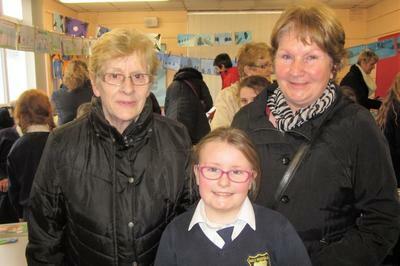 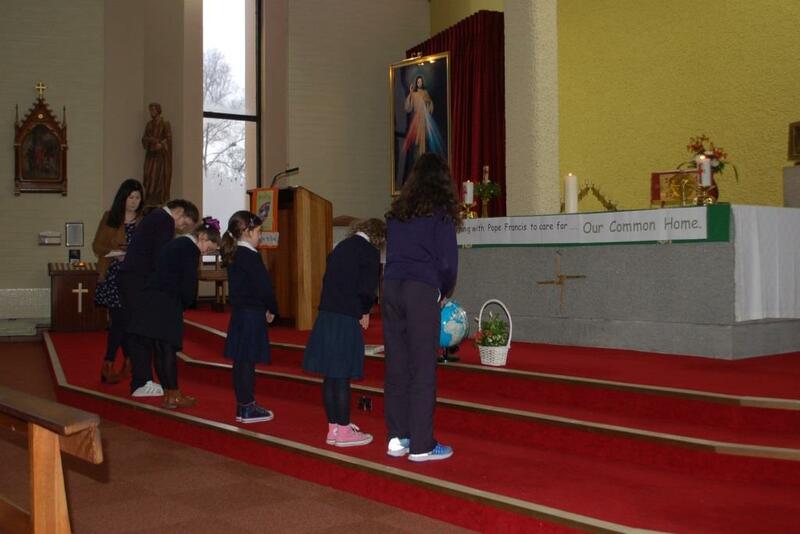 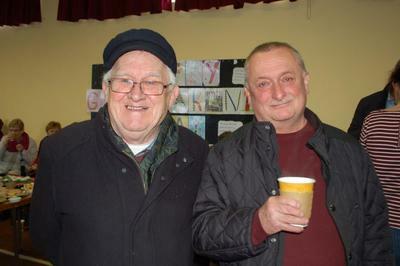 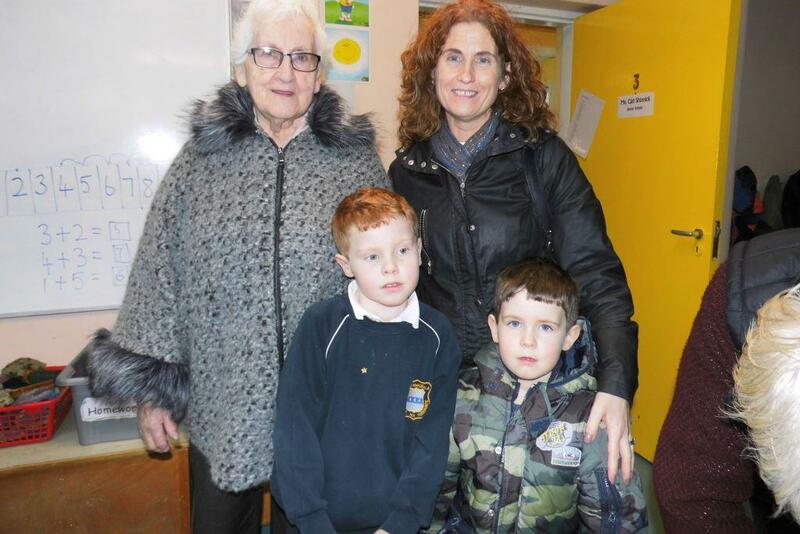 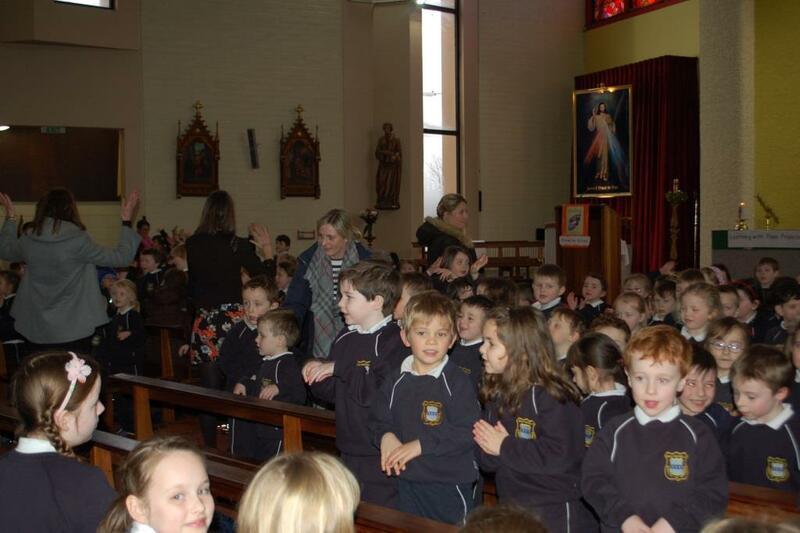 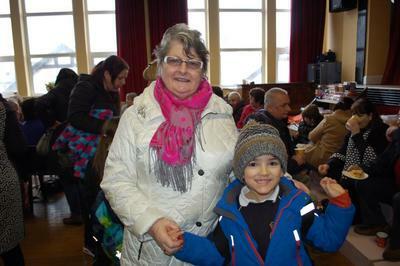 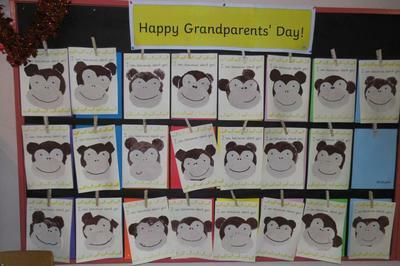 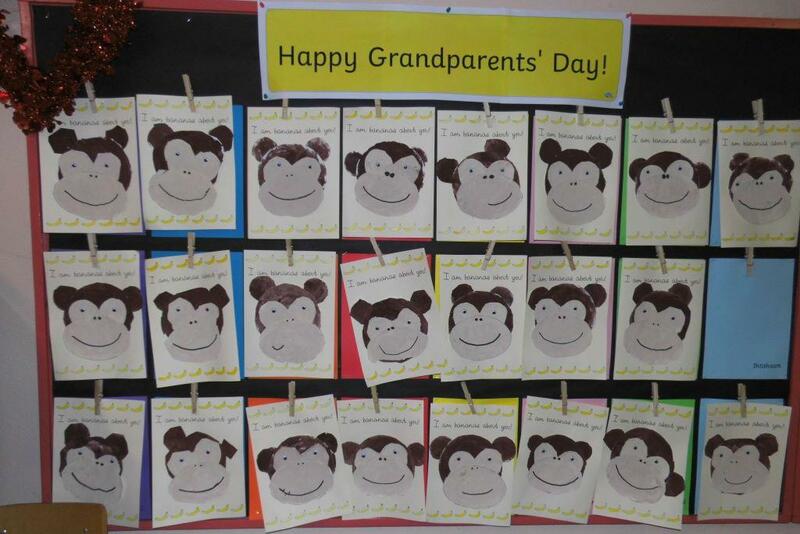 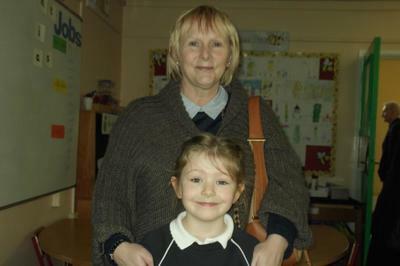 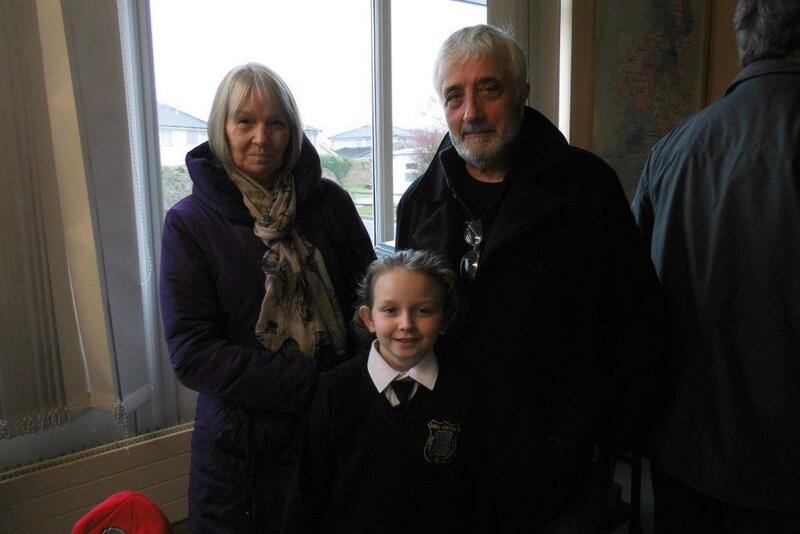 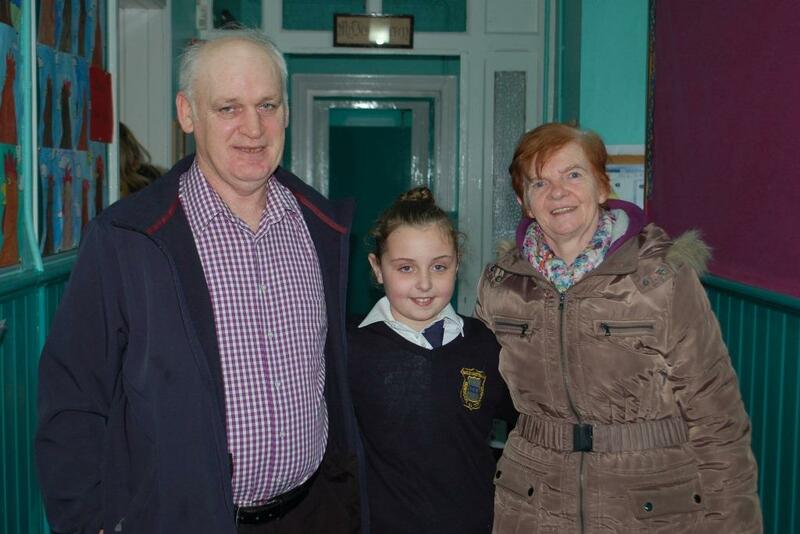 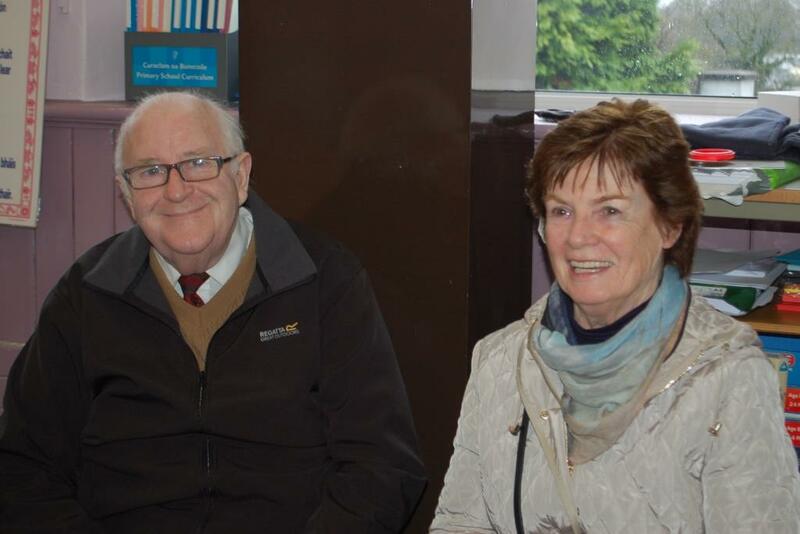 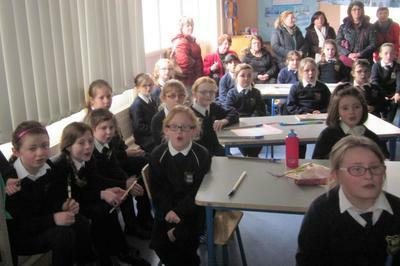 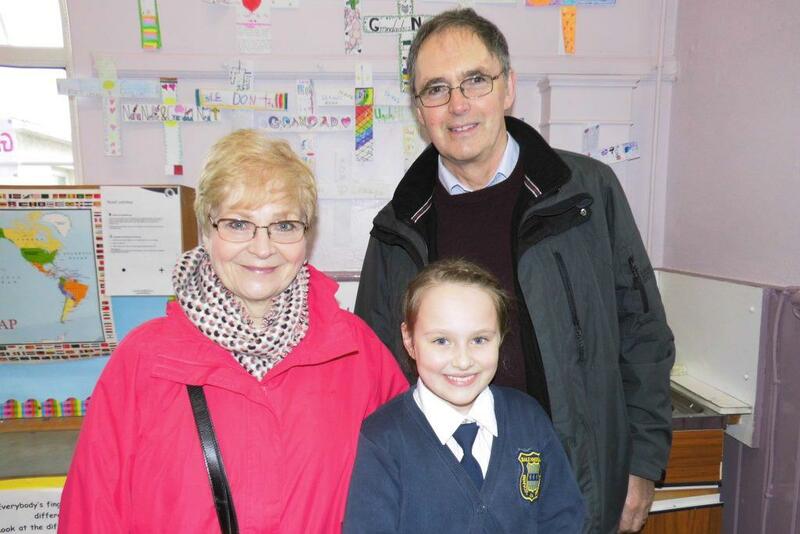 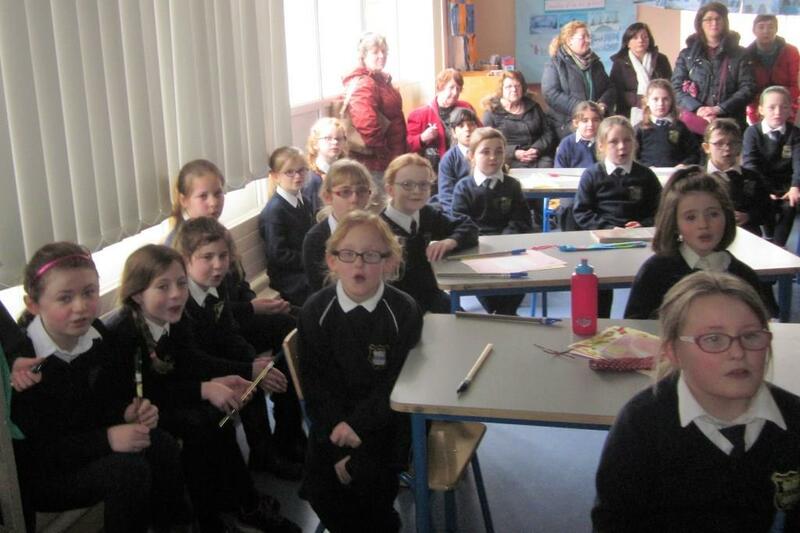 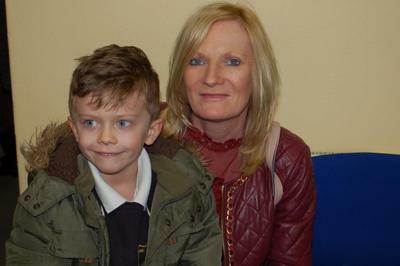 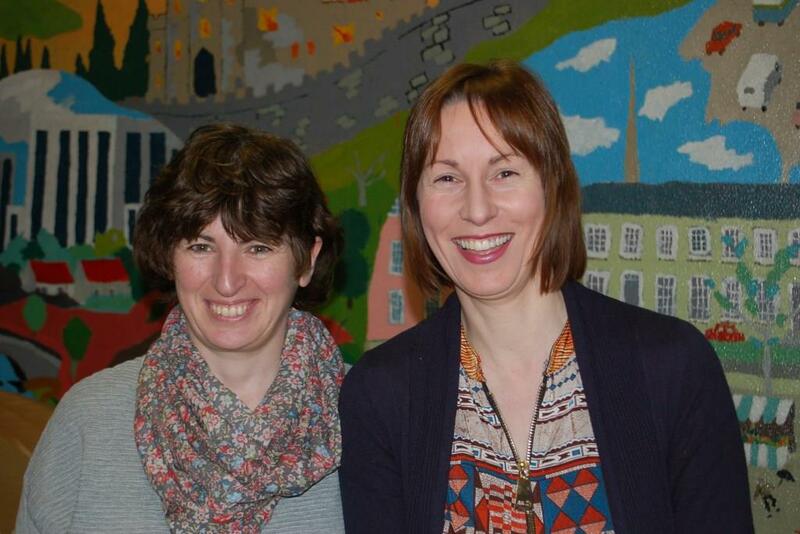 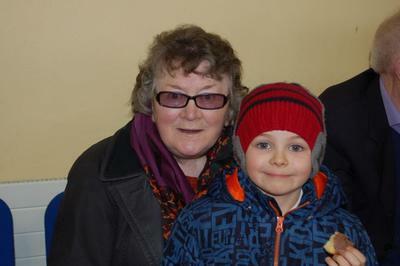 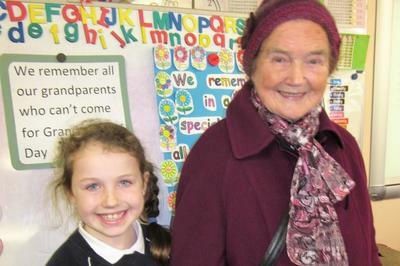 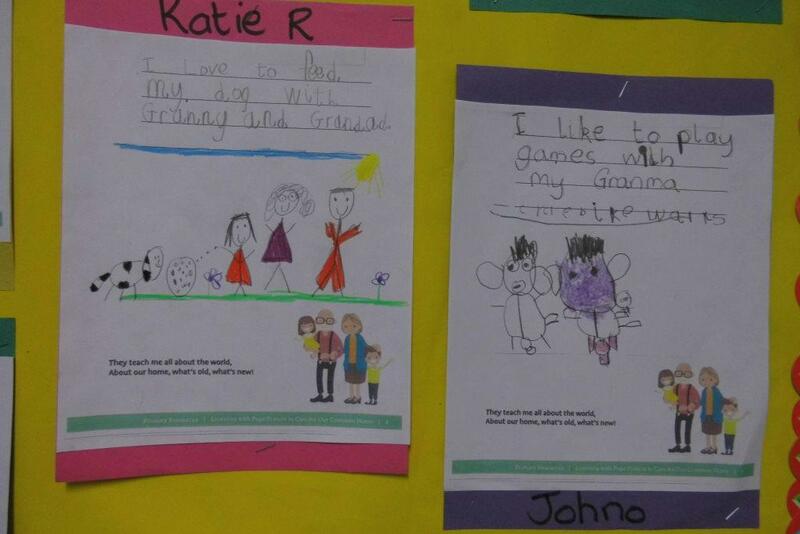 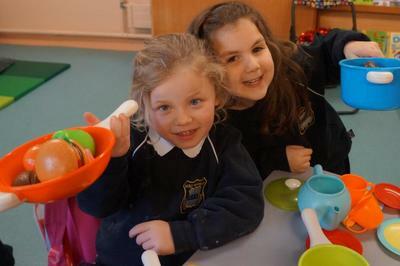 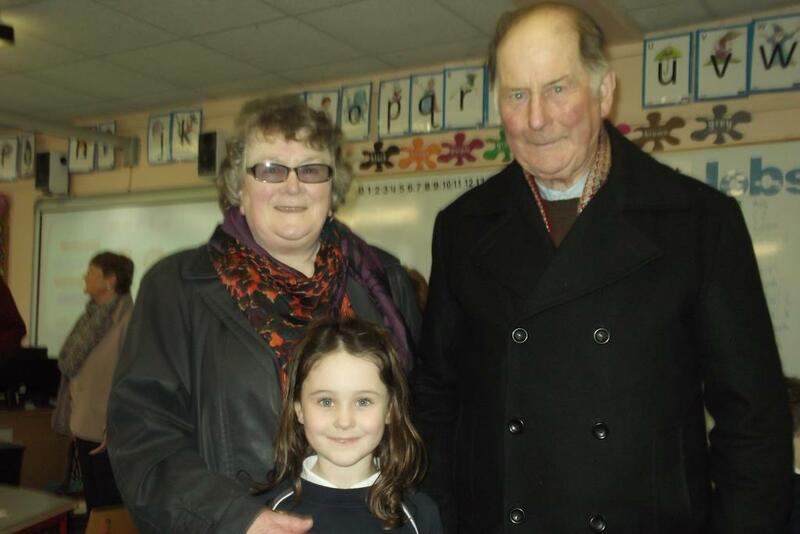 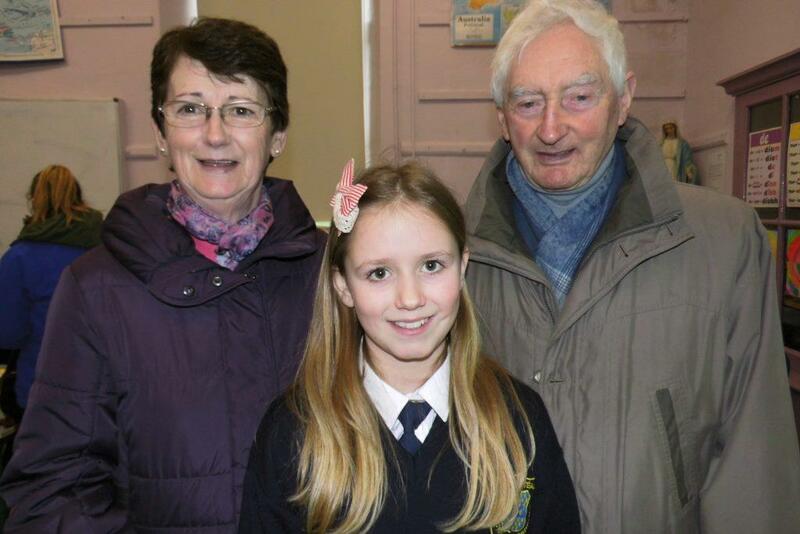 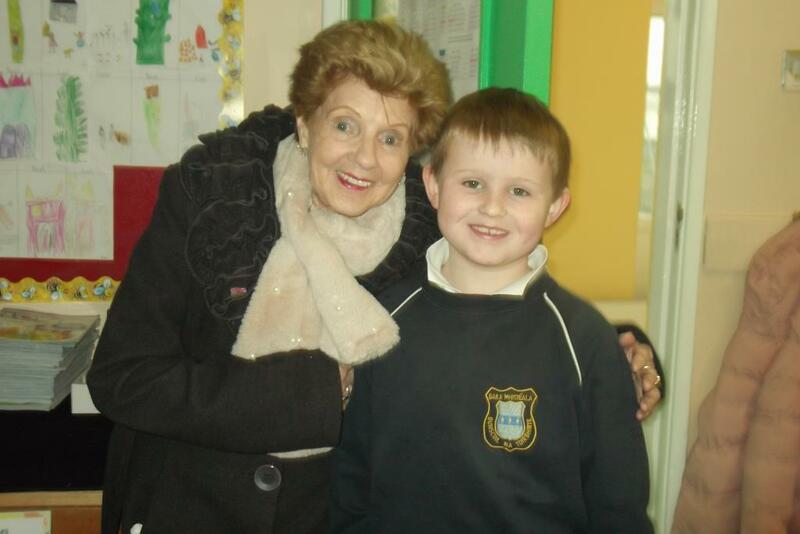 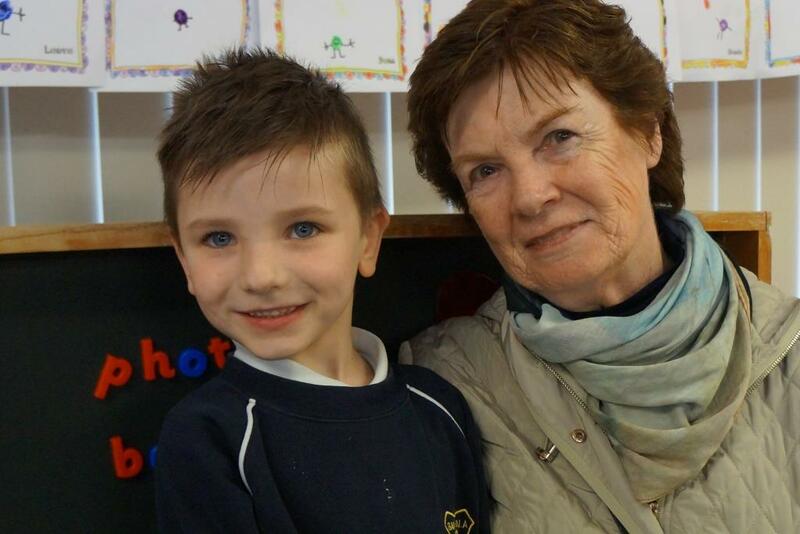 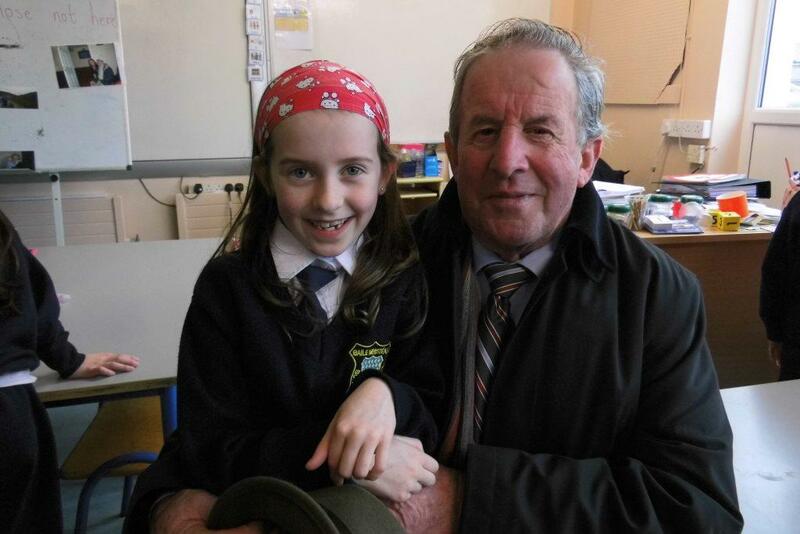 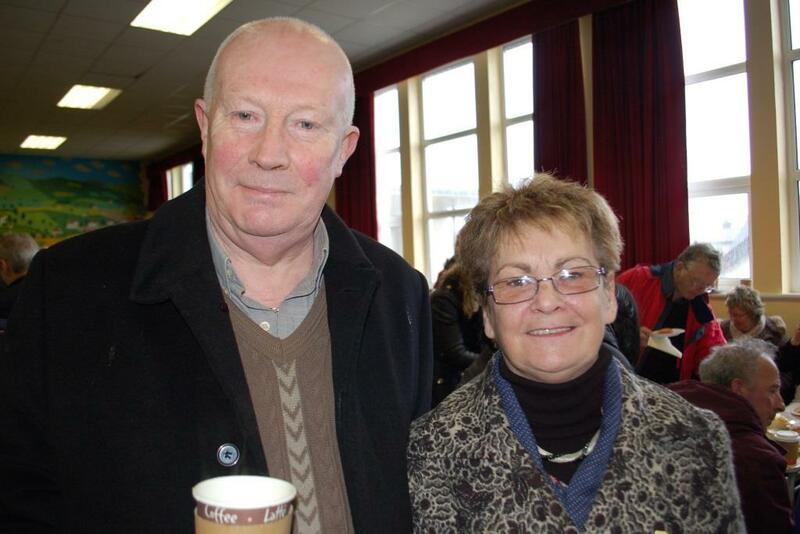 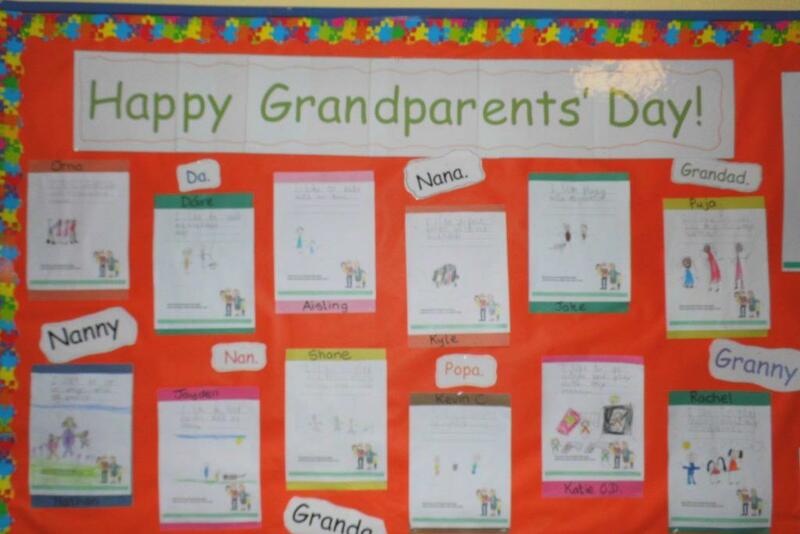 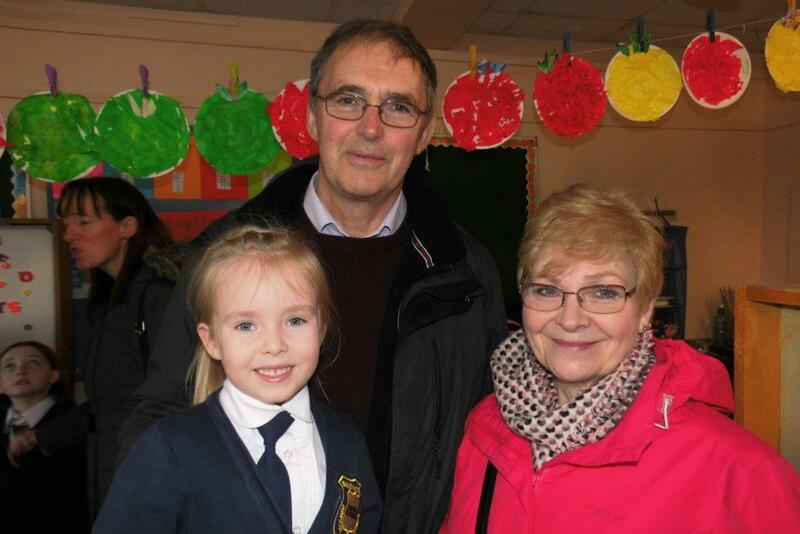 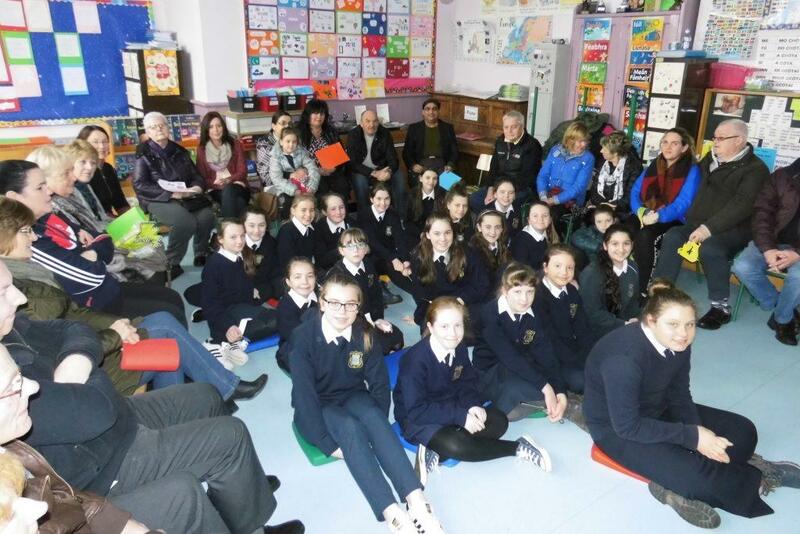 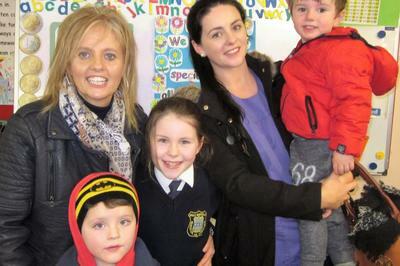 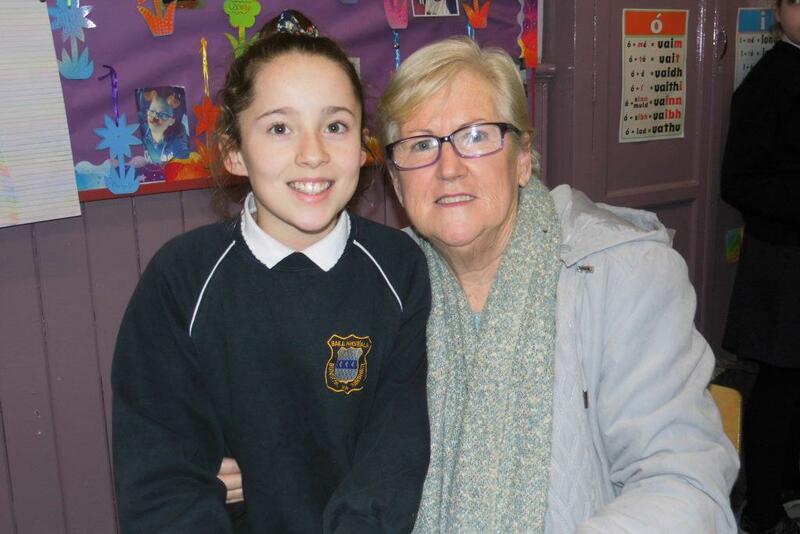 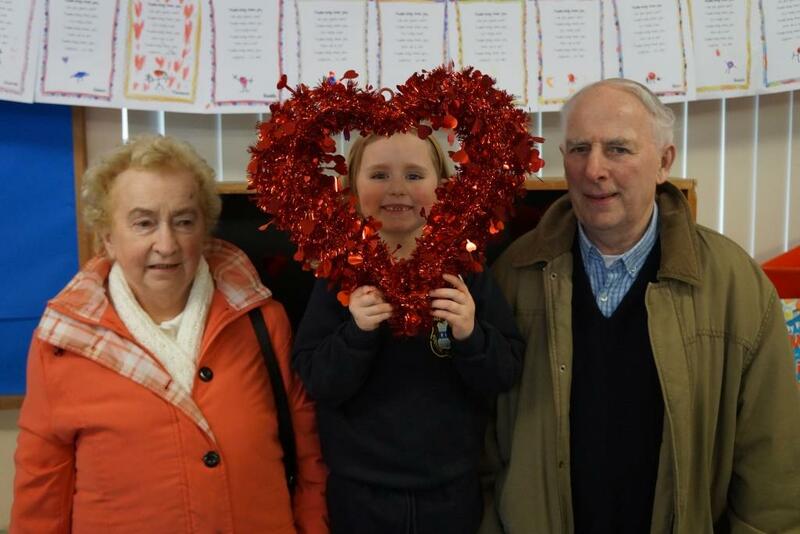 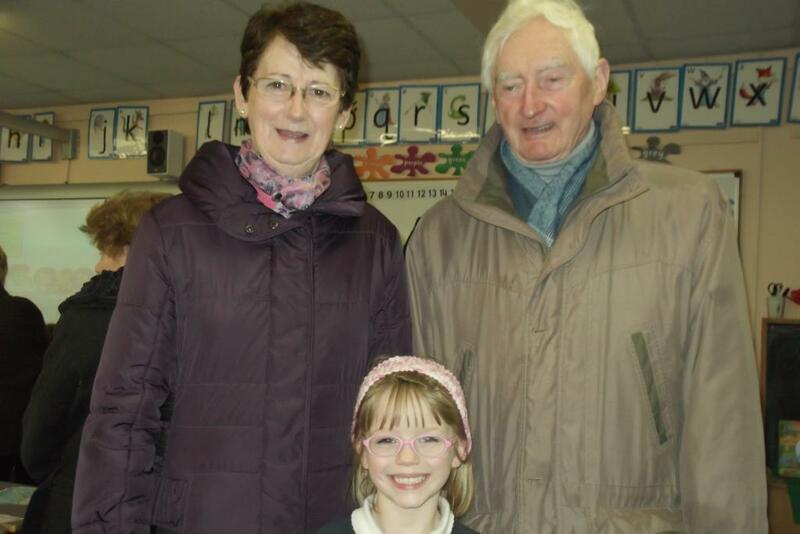 On Wednesday last, February 1st we were bowled over by the response to Grandparents' Day. 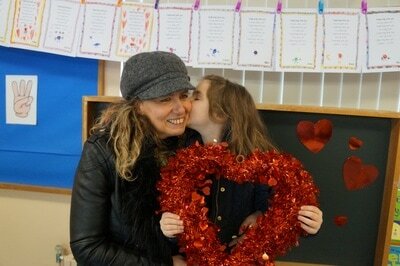 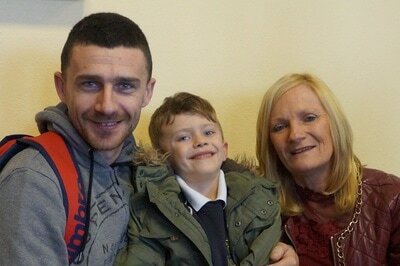 It was an amazing day and one which the children will remember for a long time. 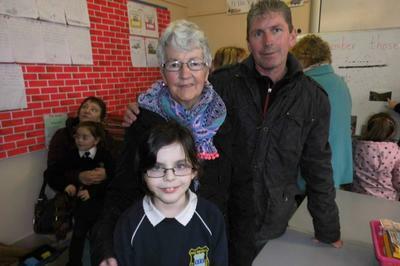 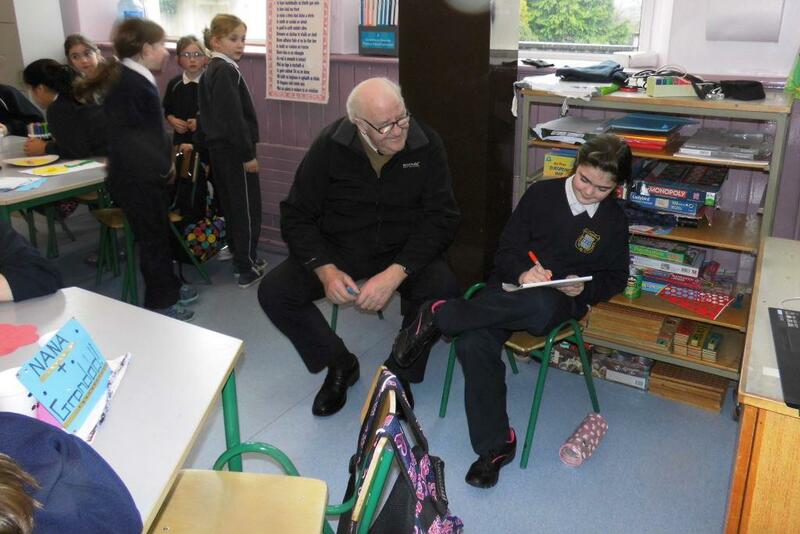 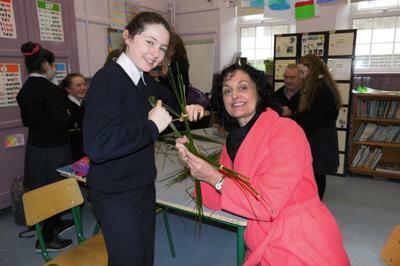 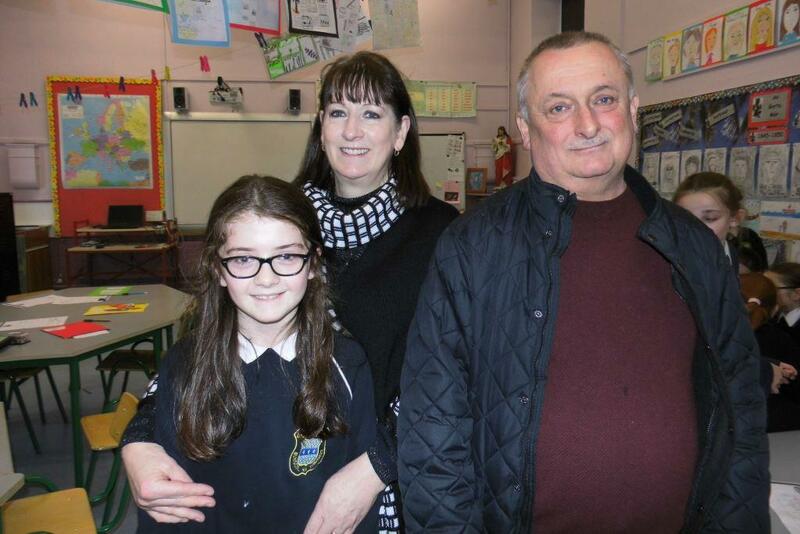 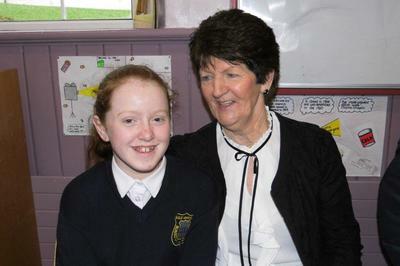 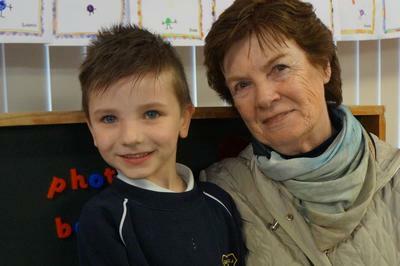 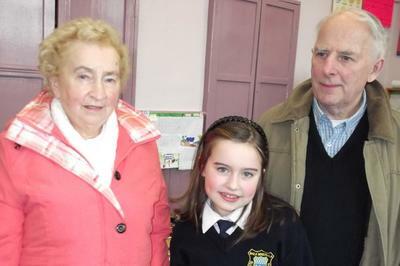 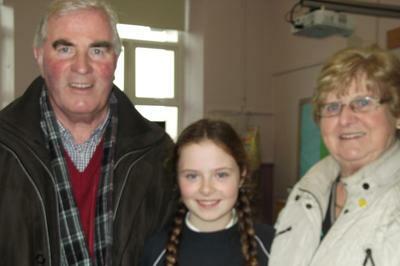 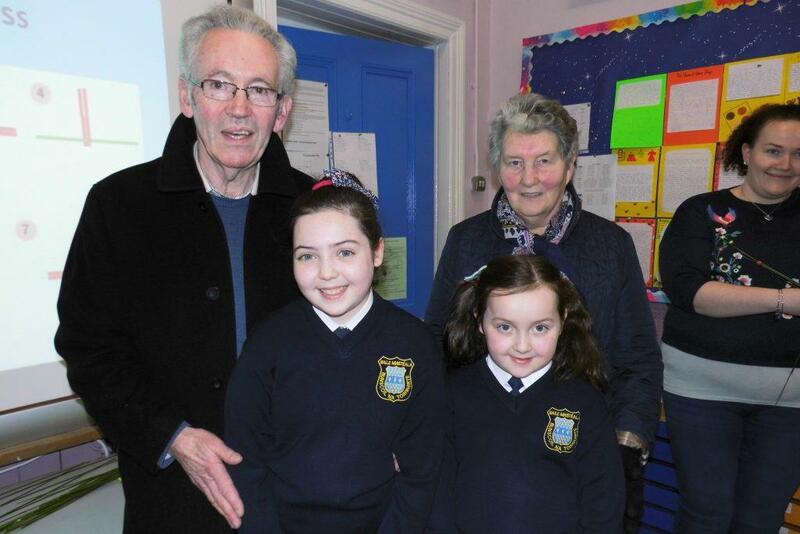 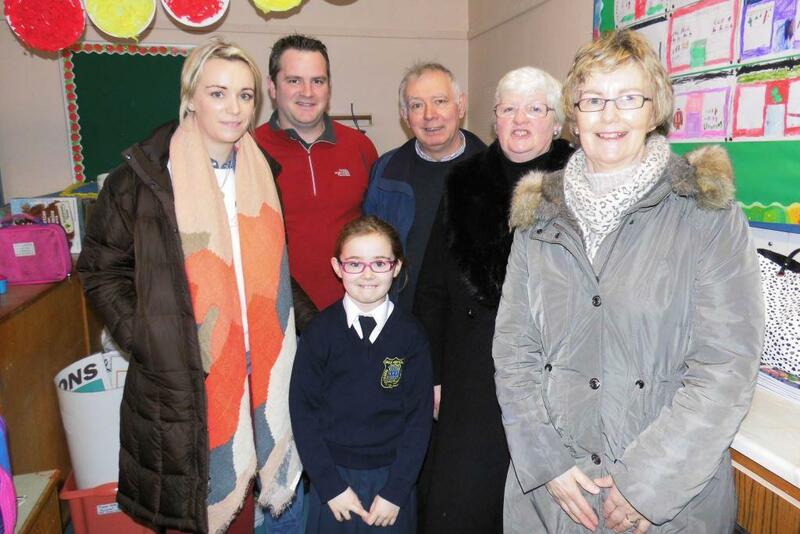 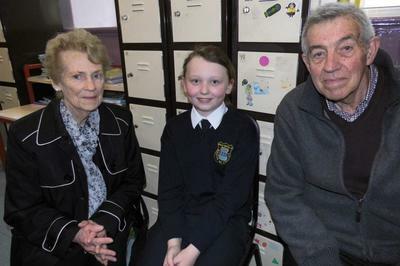 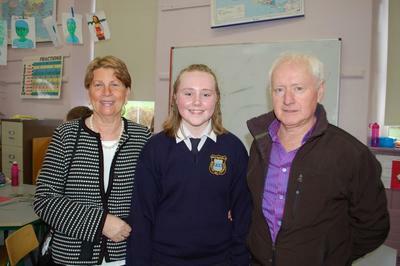 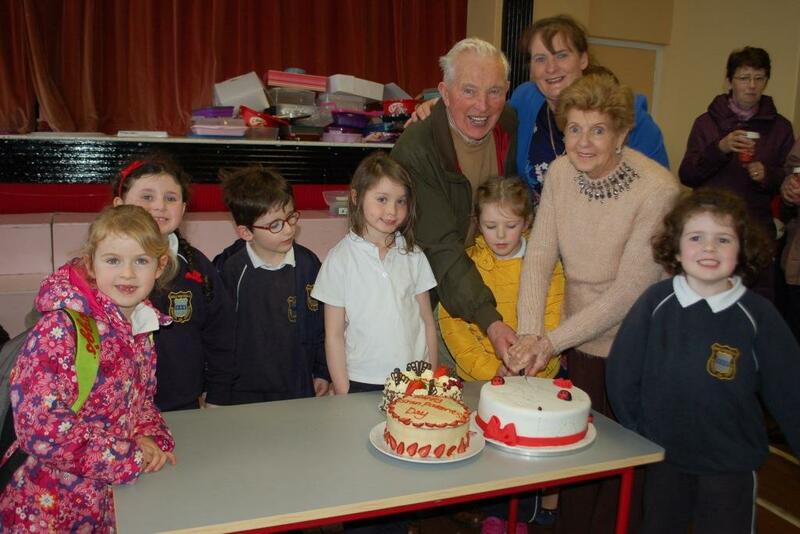 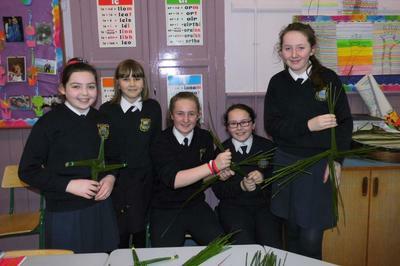 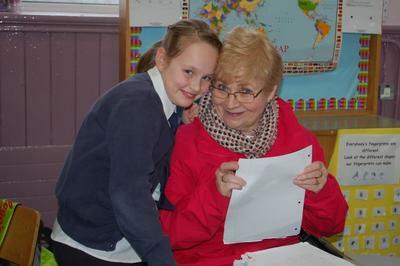 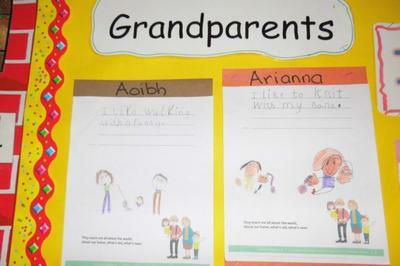 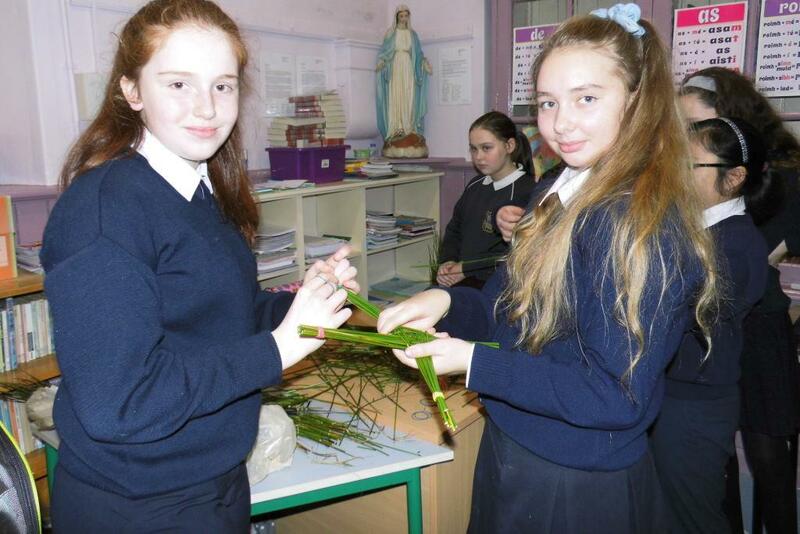 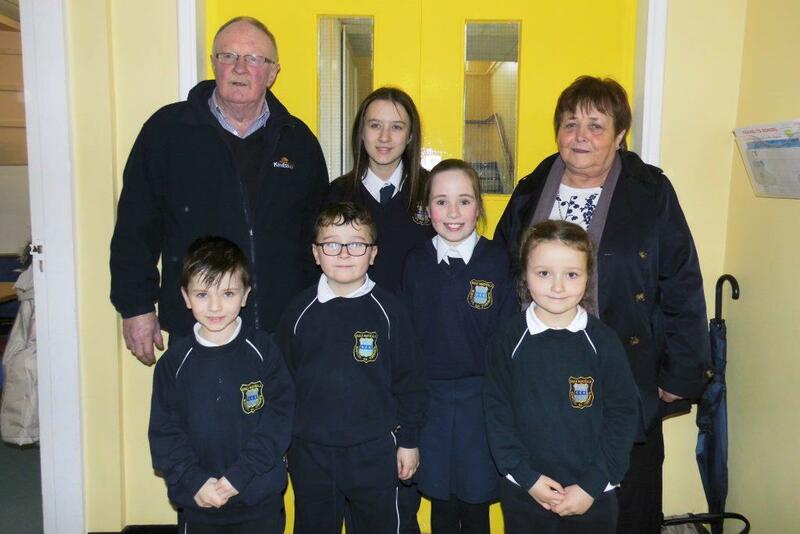 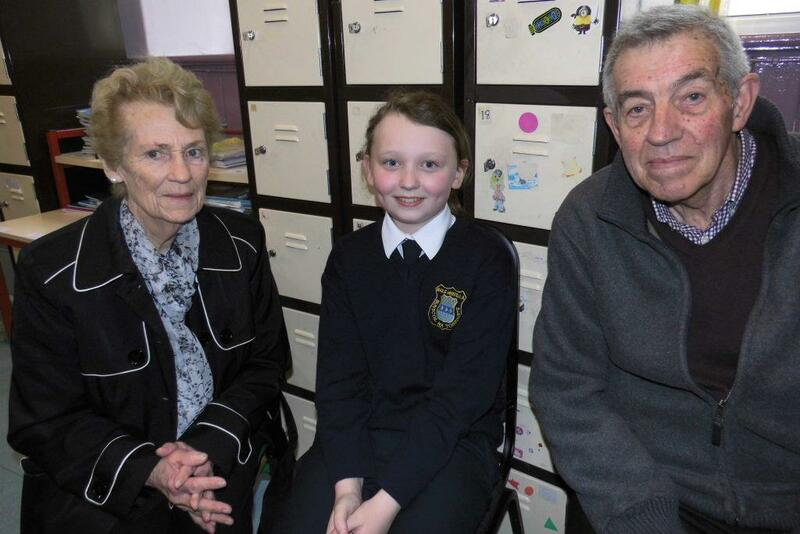 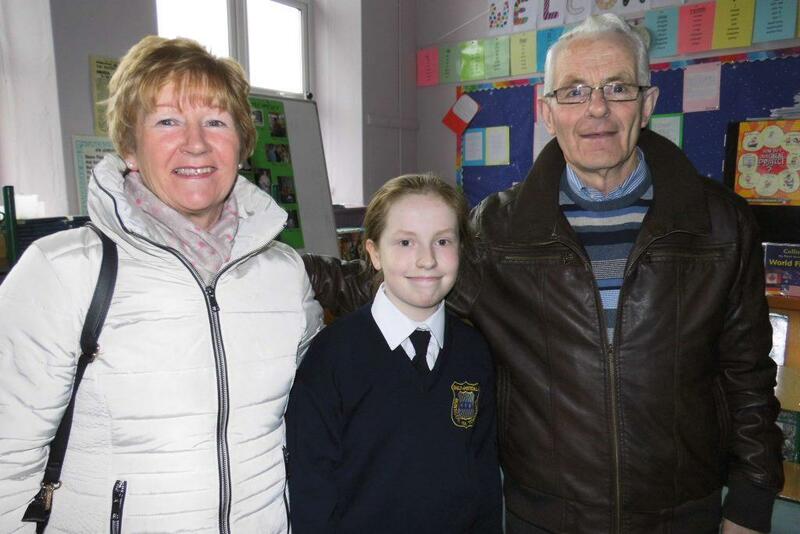 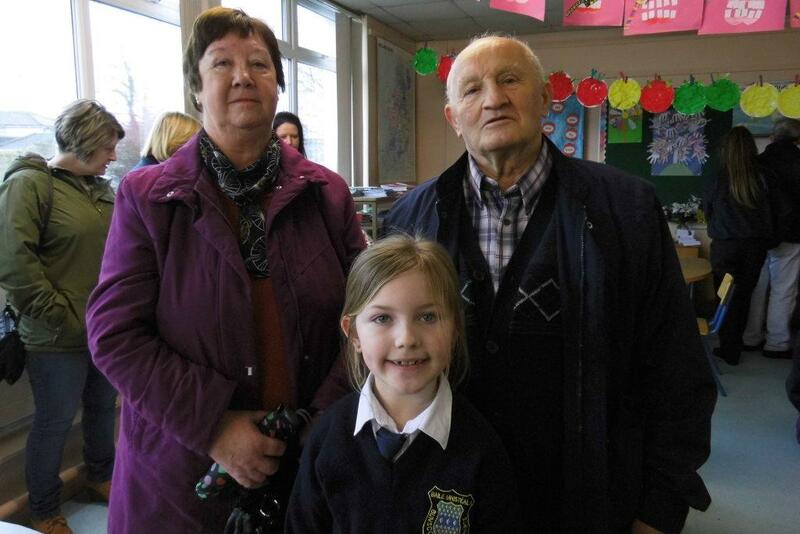 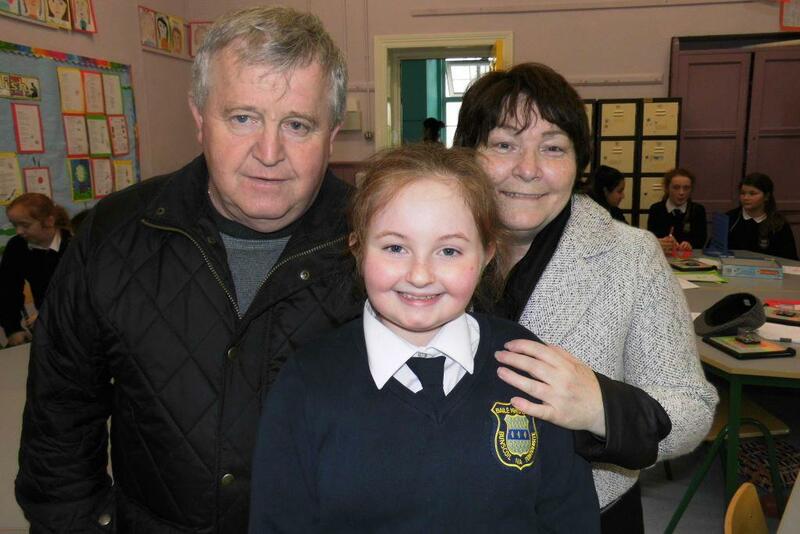 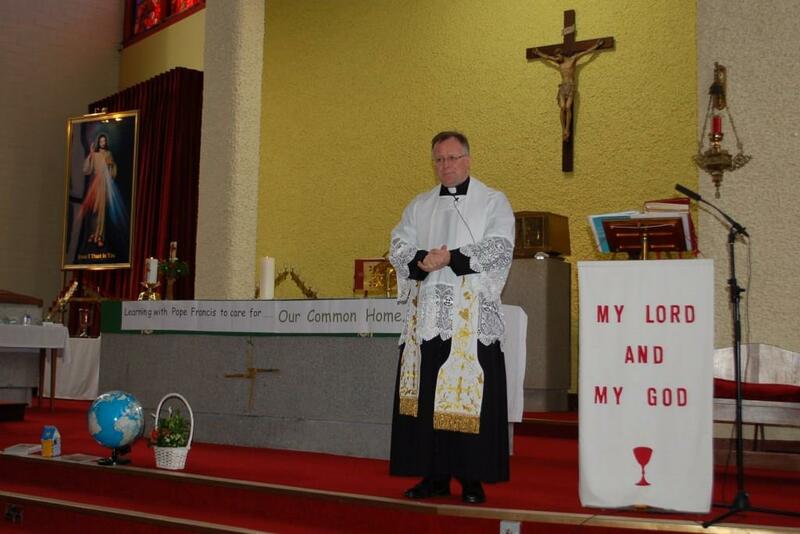 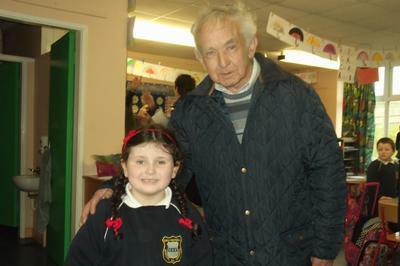 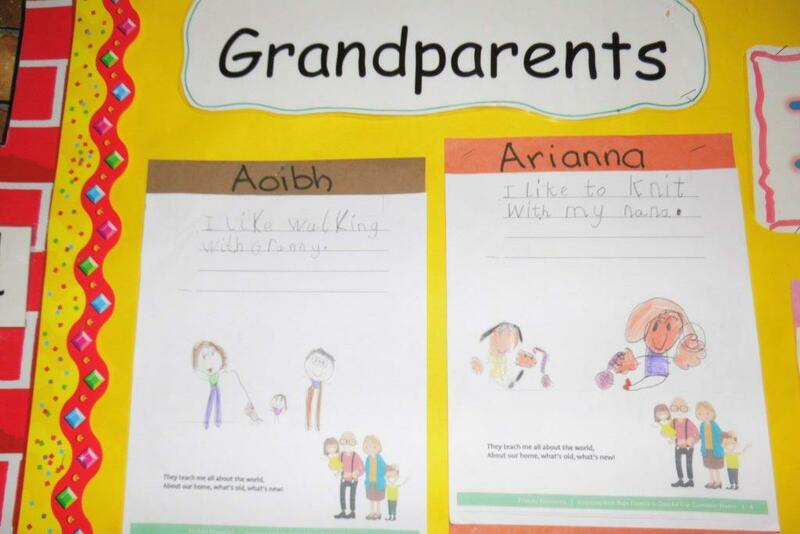 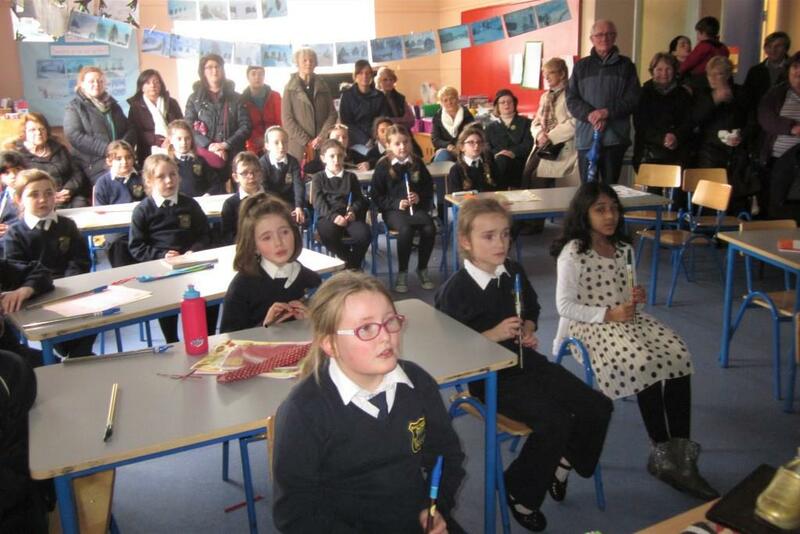 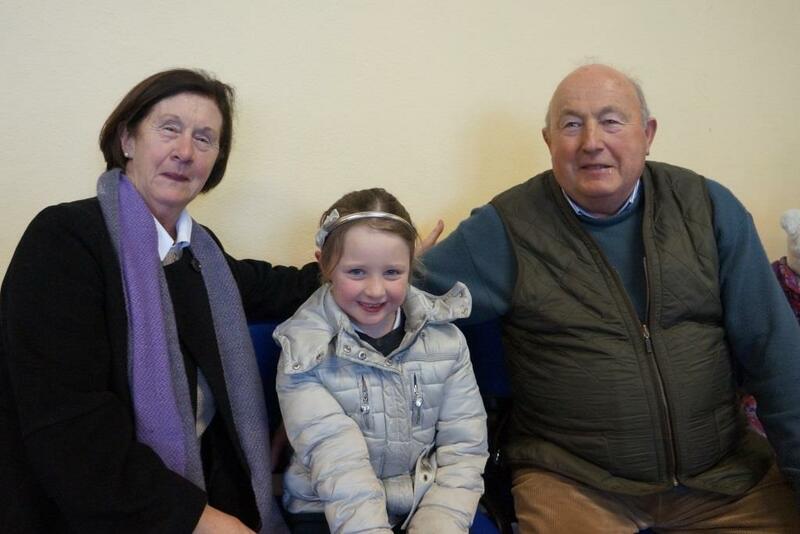 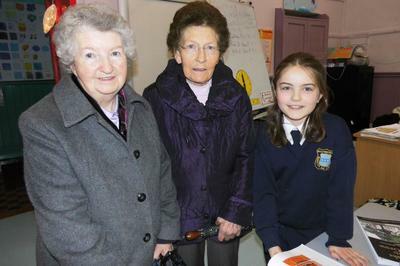 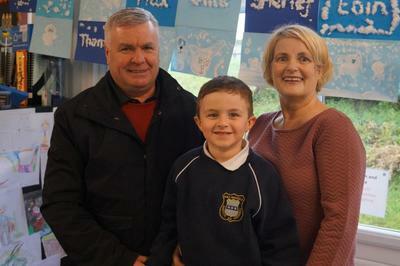 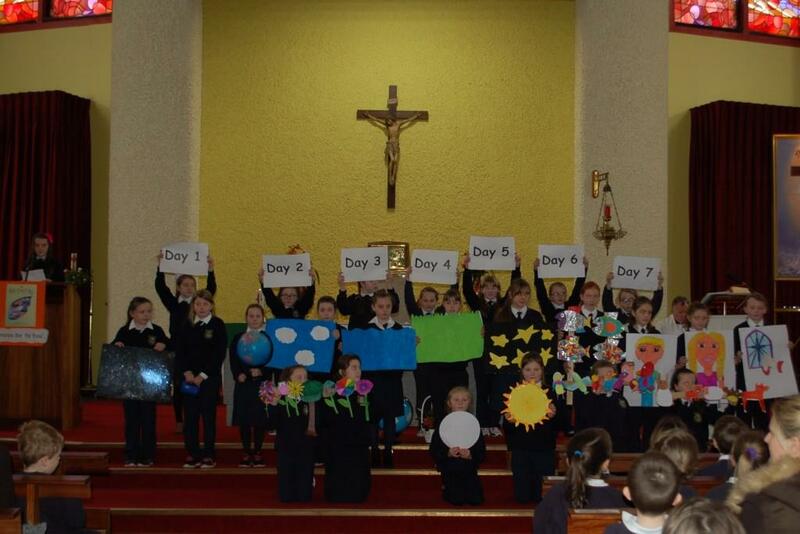 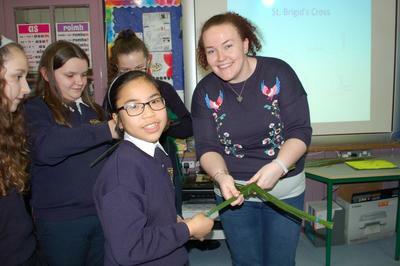 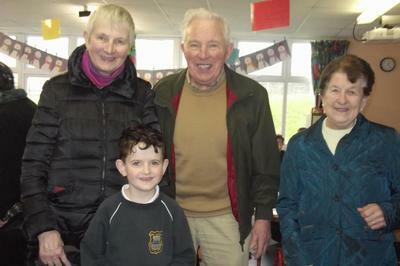 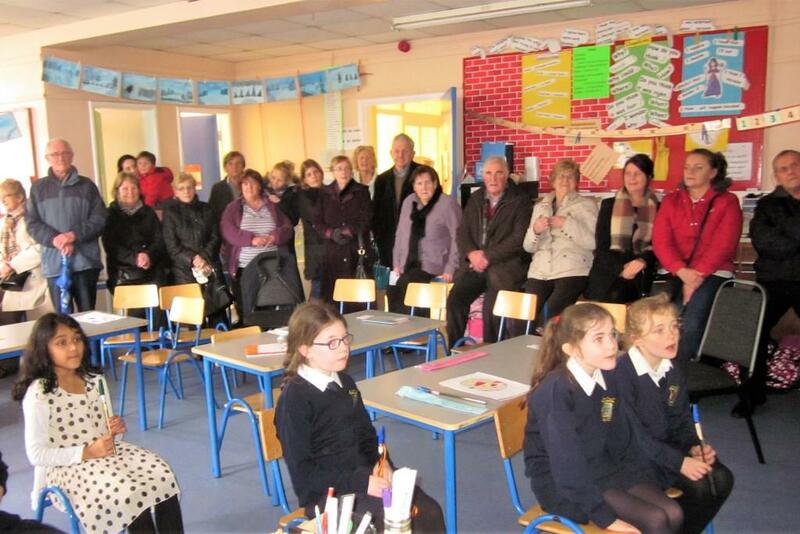 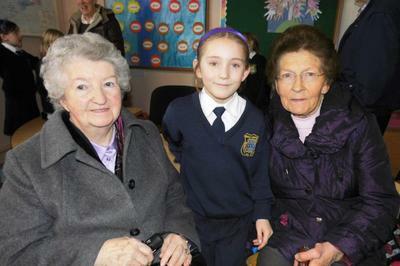 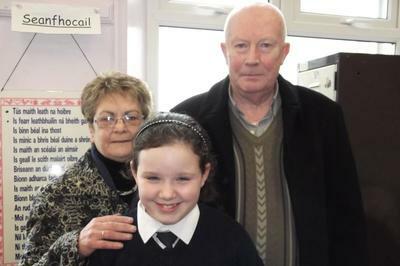 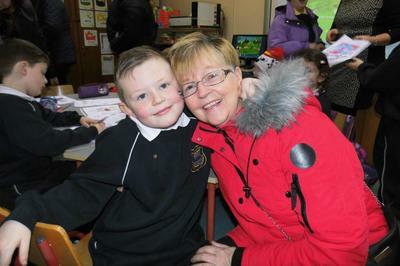 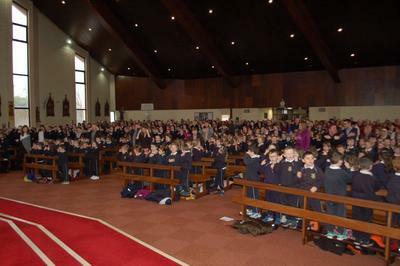 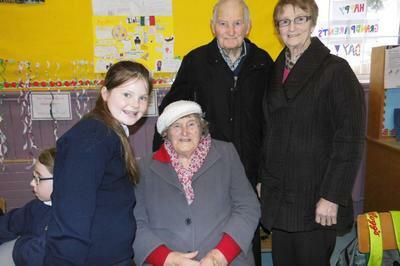 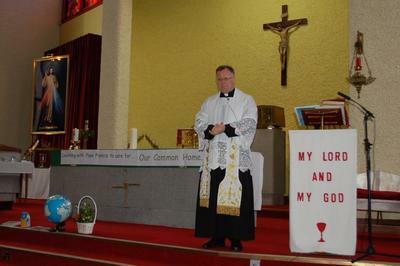 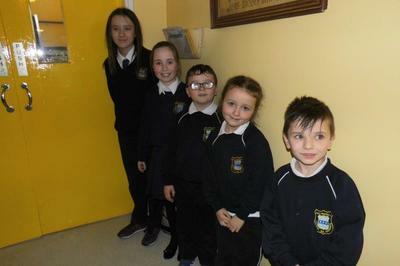 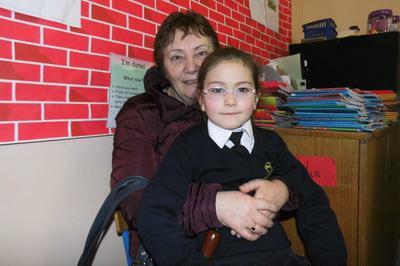 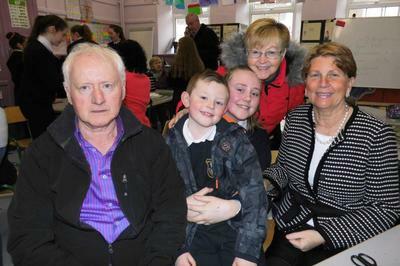 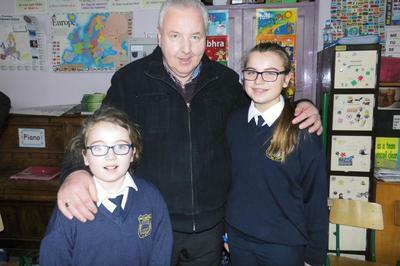 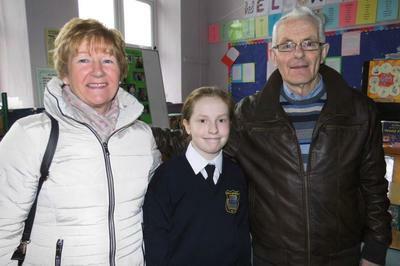 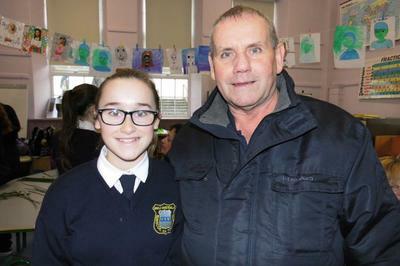 Grandparents' Day is held during Catholic Schools Week. 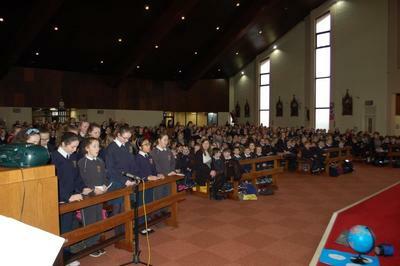 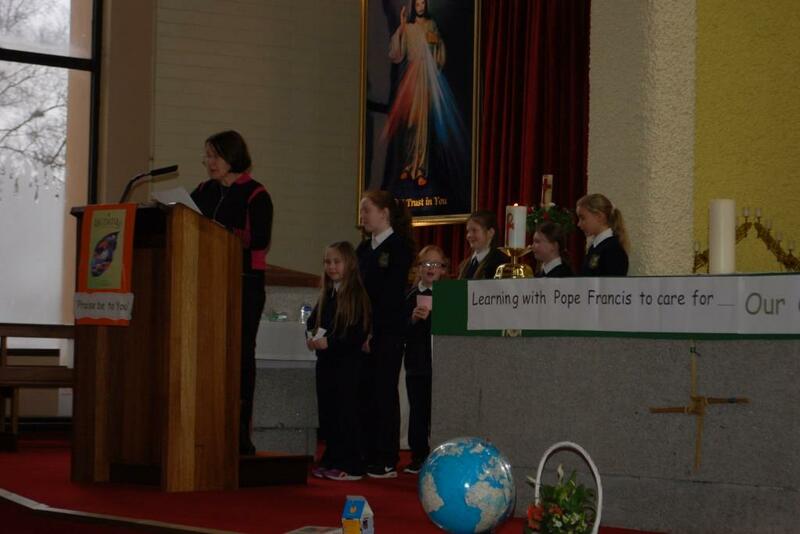 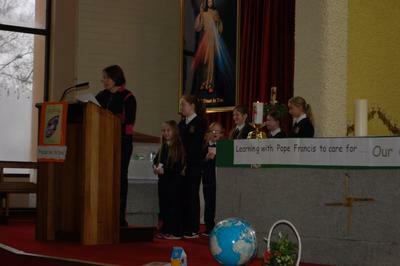 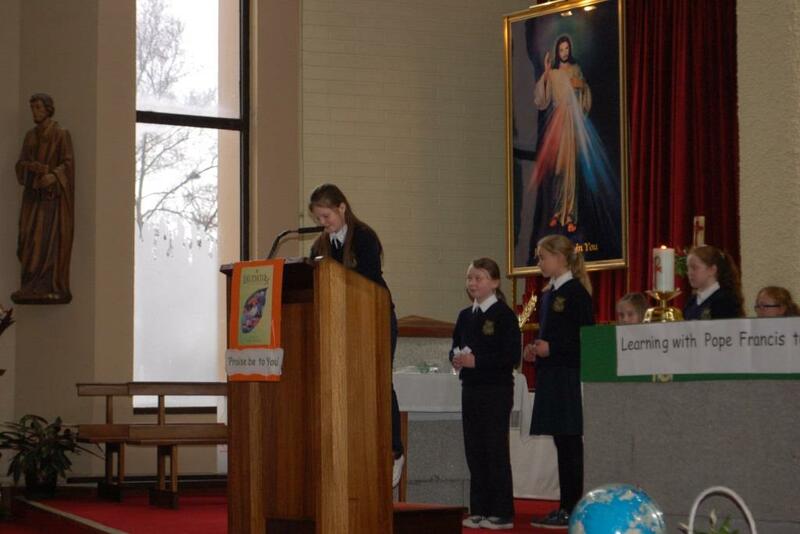 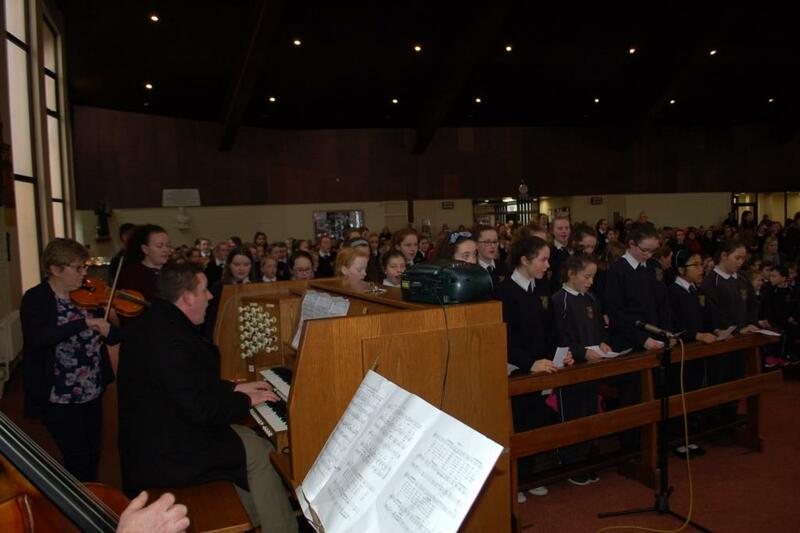 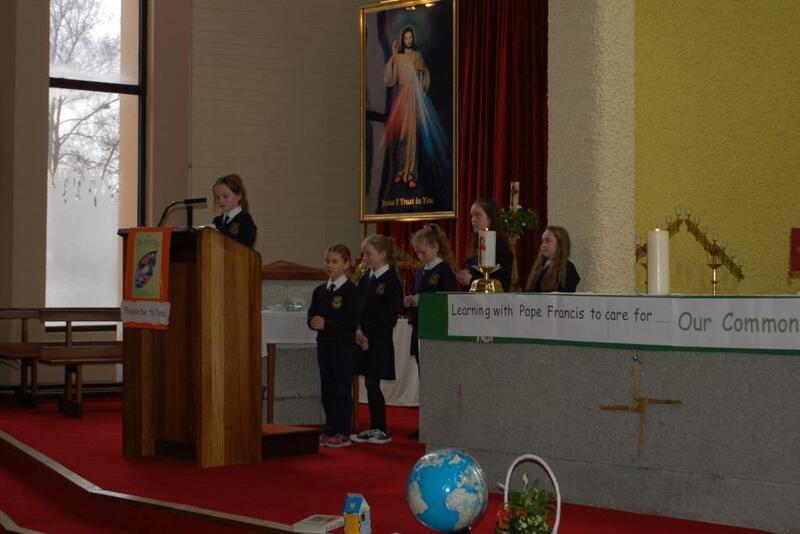 We all assembled in the Parish Church for a beautiful Prayer Service organised by Ms Shinnick. 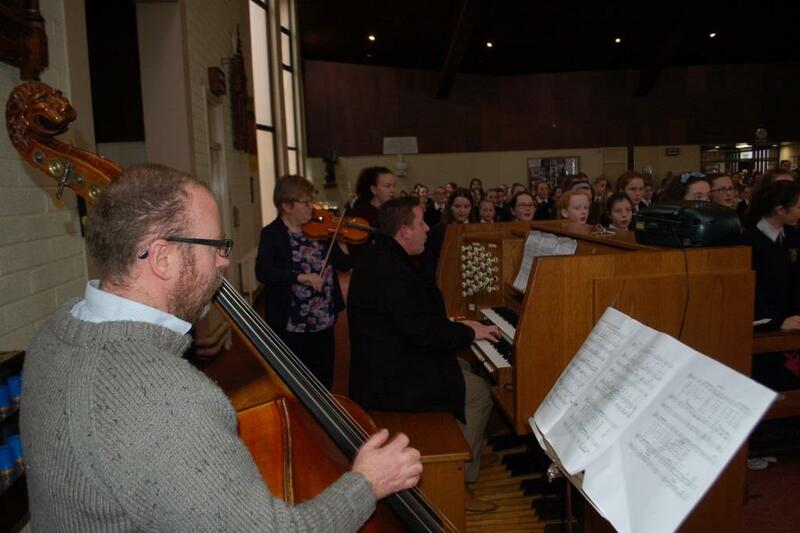 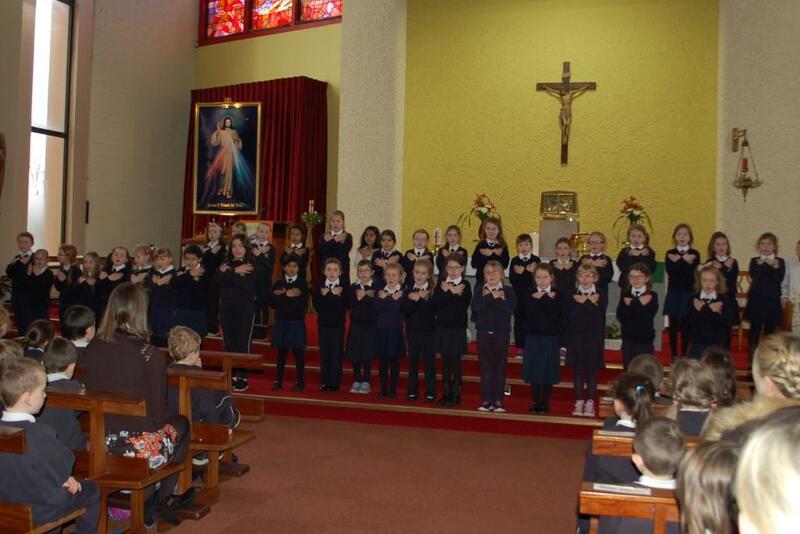 The boys and girls sang beautifully and participated in the service. 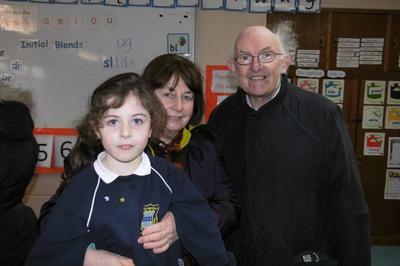 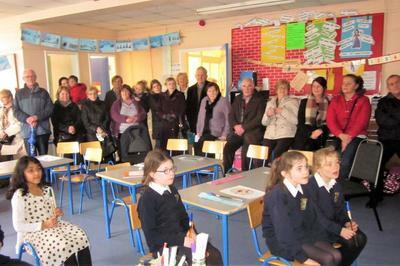 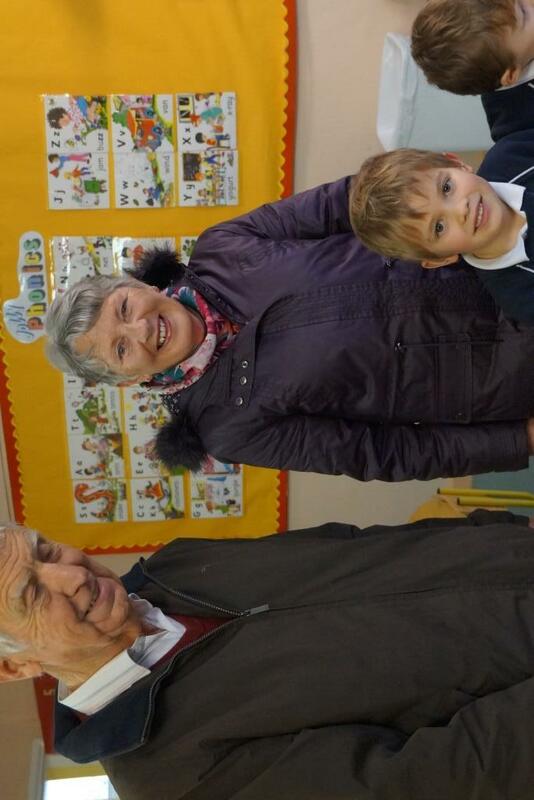 Following the Prayer Service, all of the Grandparents assembled on the sanctuary for a photograph and then made their way to the school for a visit to see the children in their classrooms. 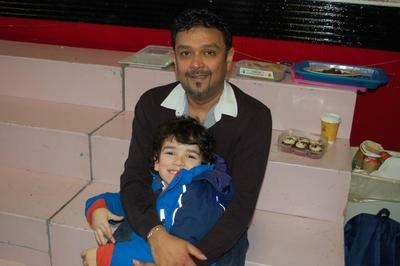 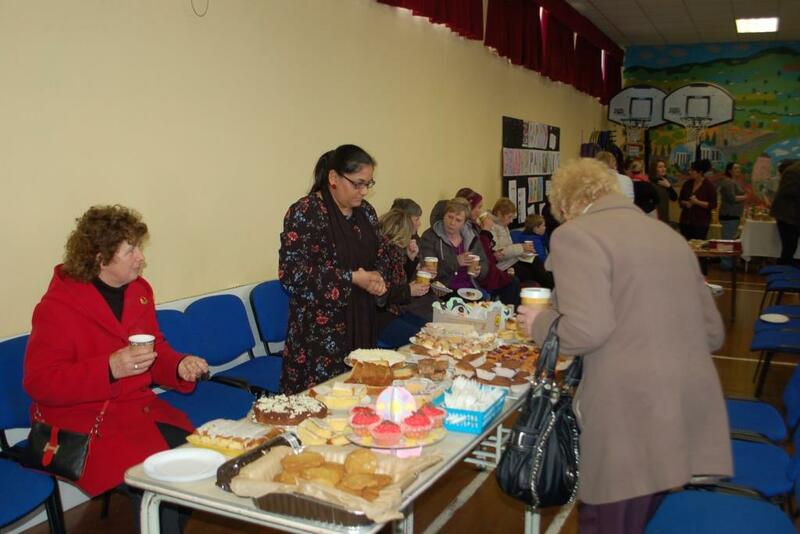 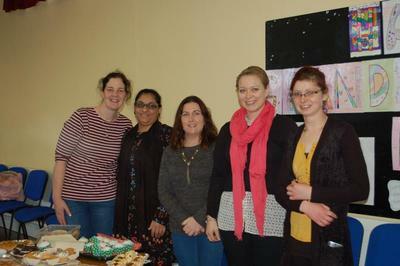 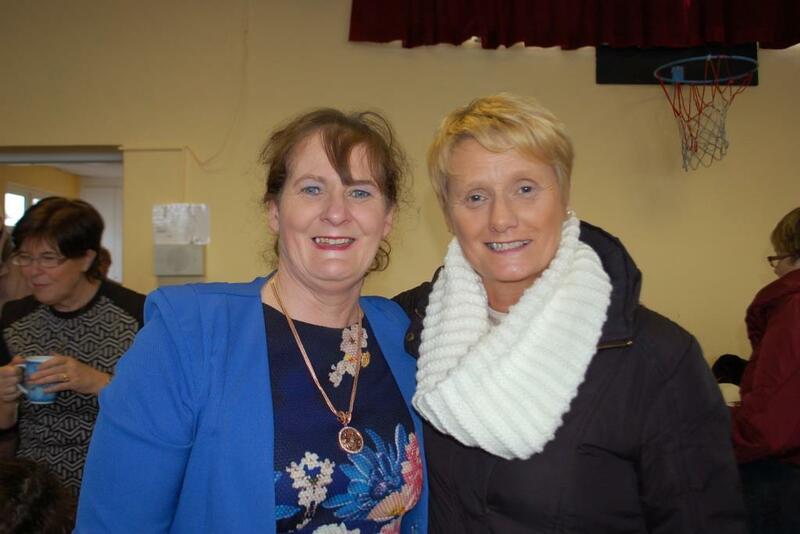 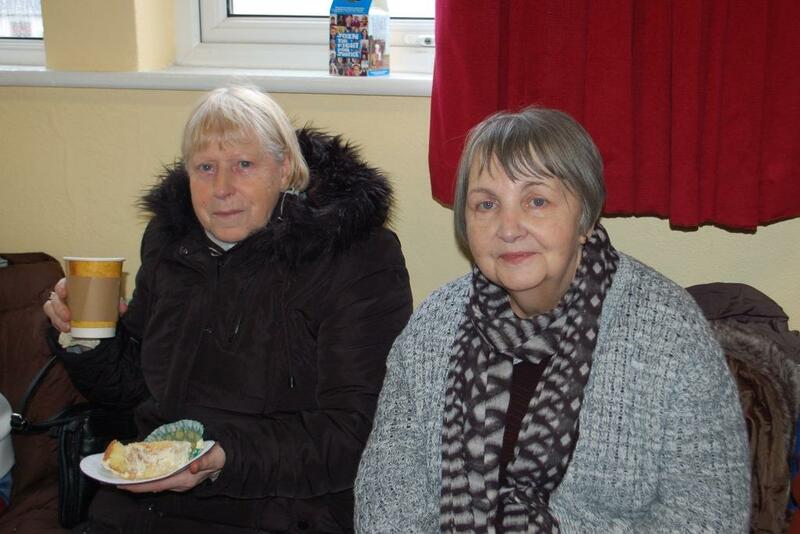 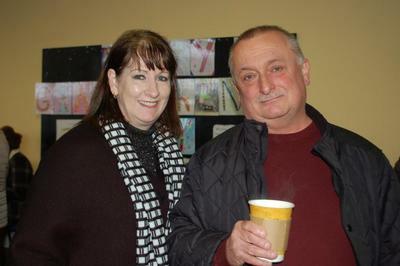 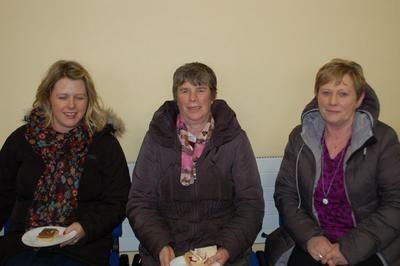 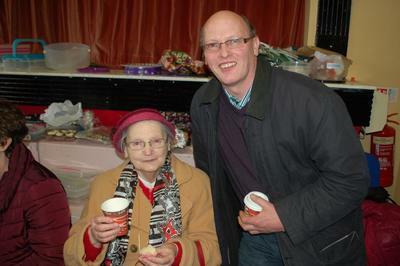 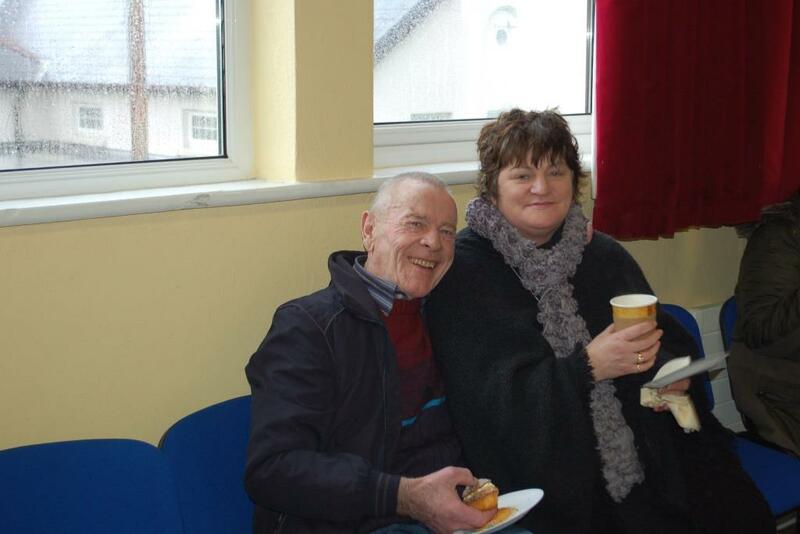 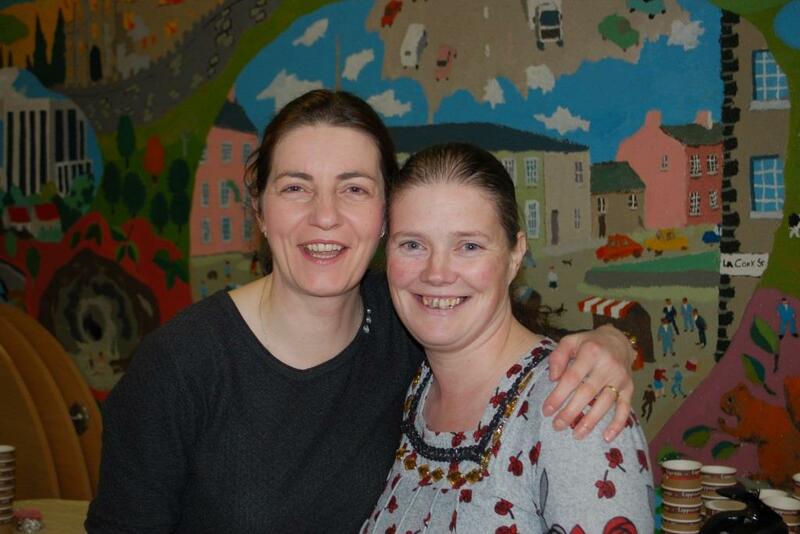 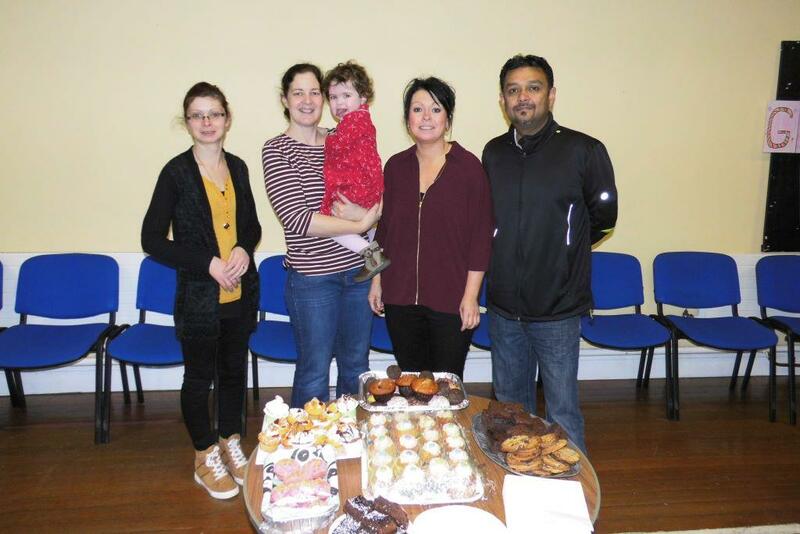 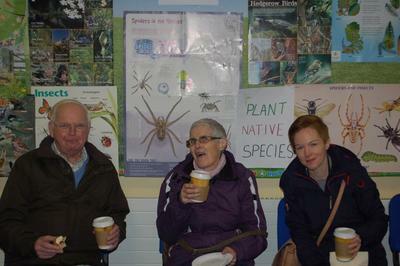 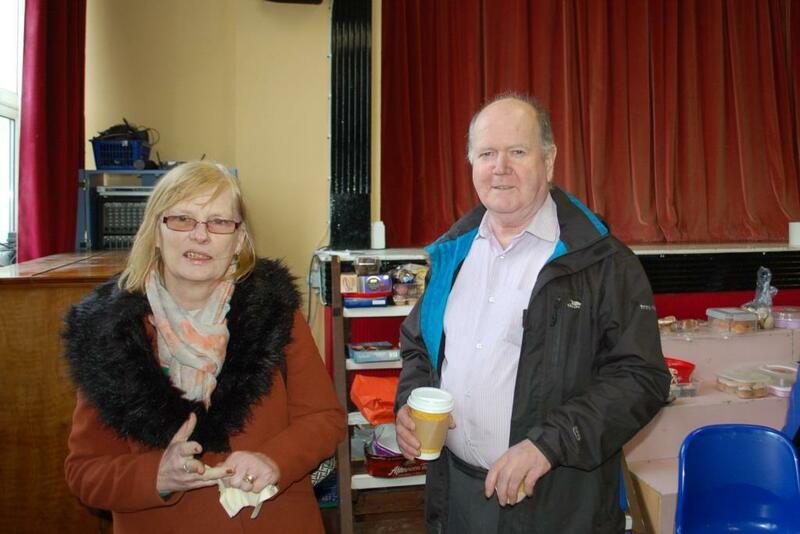 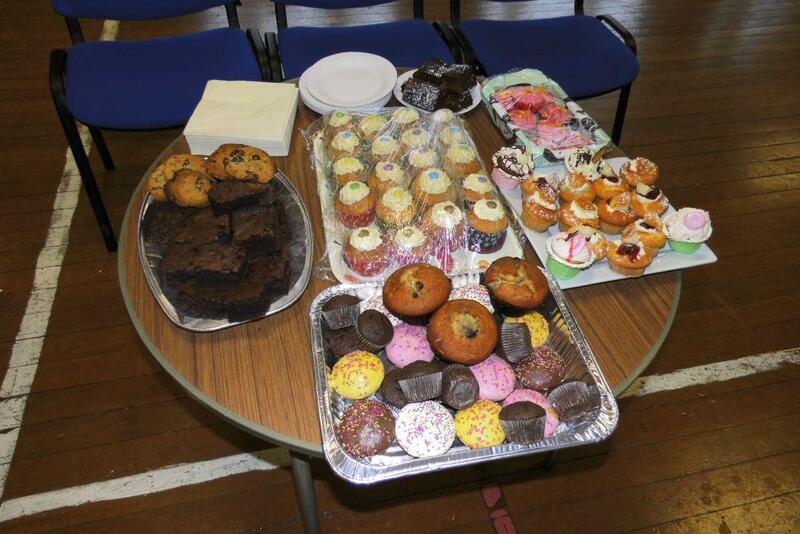 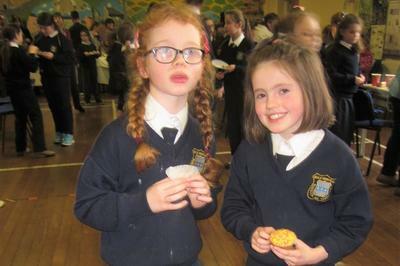 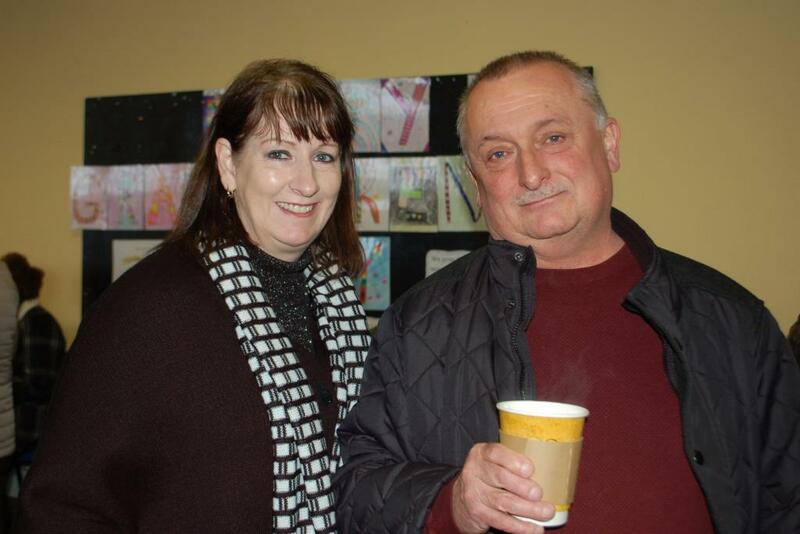 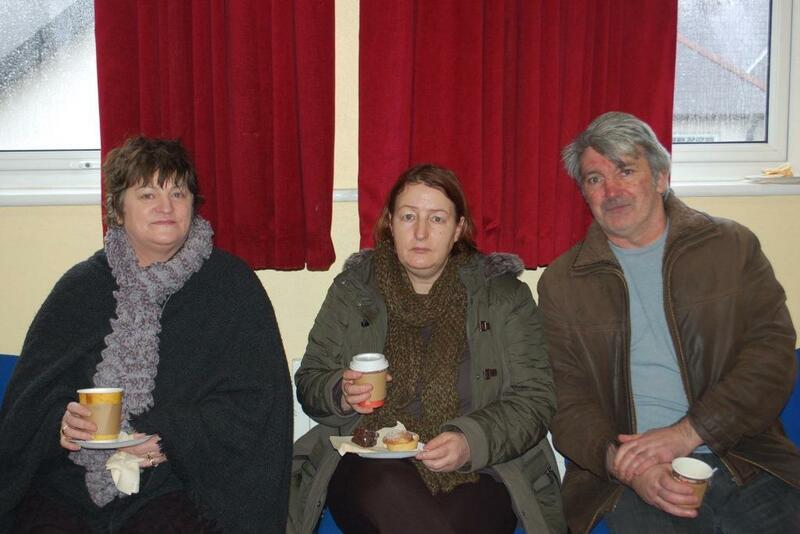 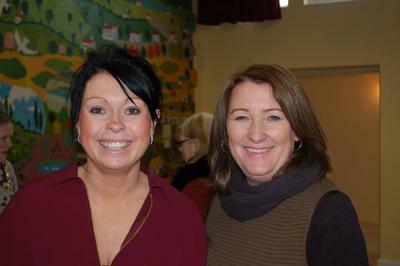 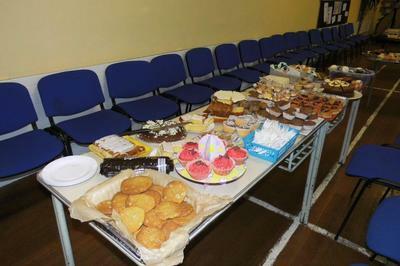 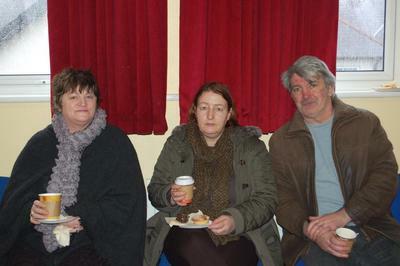 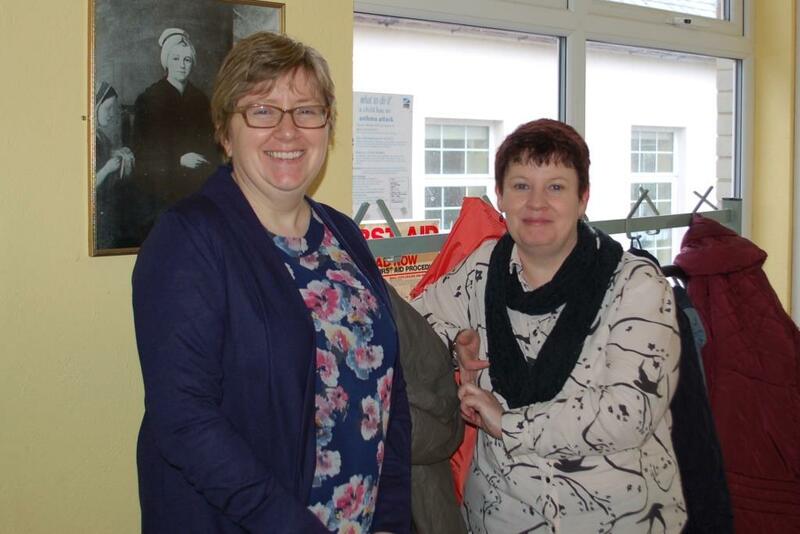 Refreshments were provided by the parents and served by the Parents' Council. 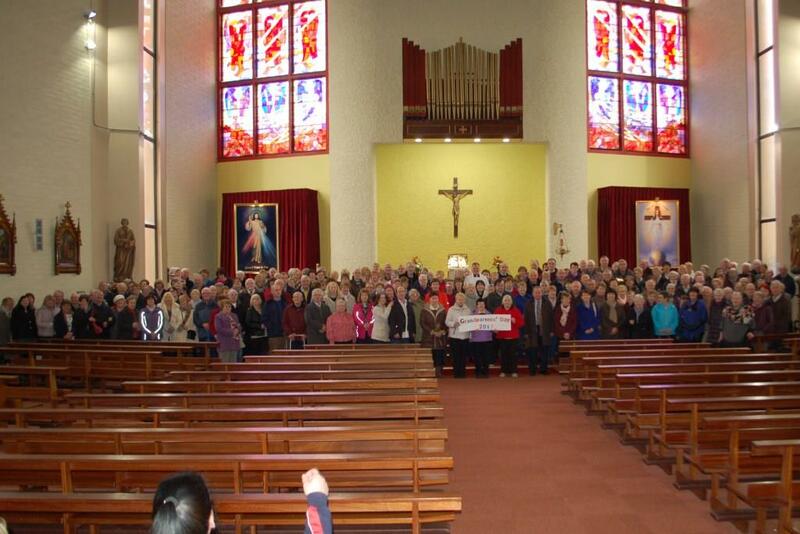 Thanks to everybody who helped to make this such a memorable occasion.